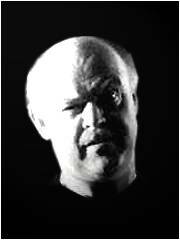 Woe unto you who haven't been paying attention! 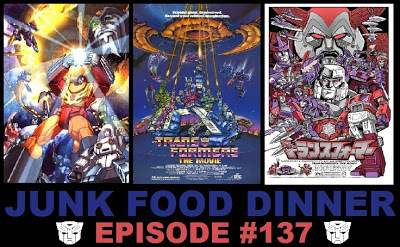 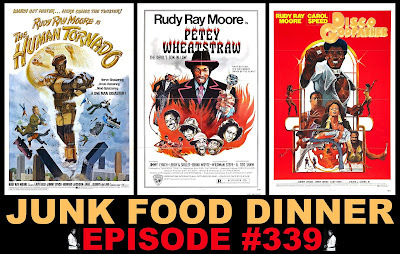 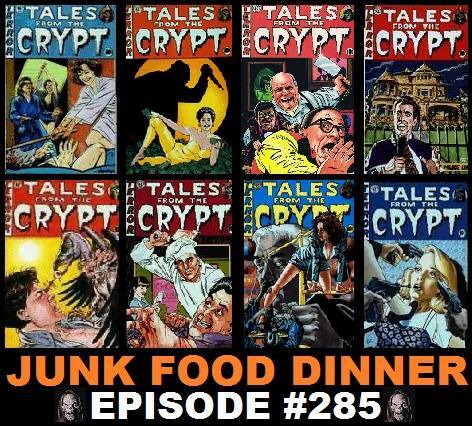 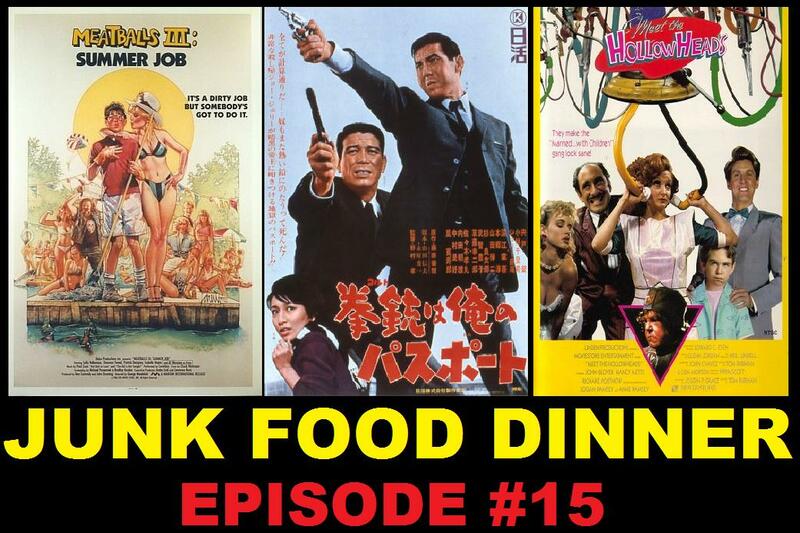 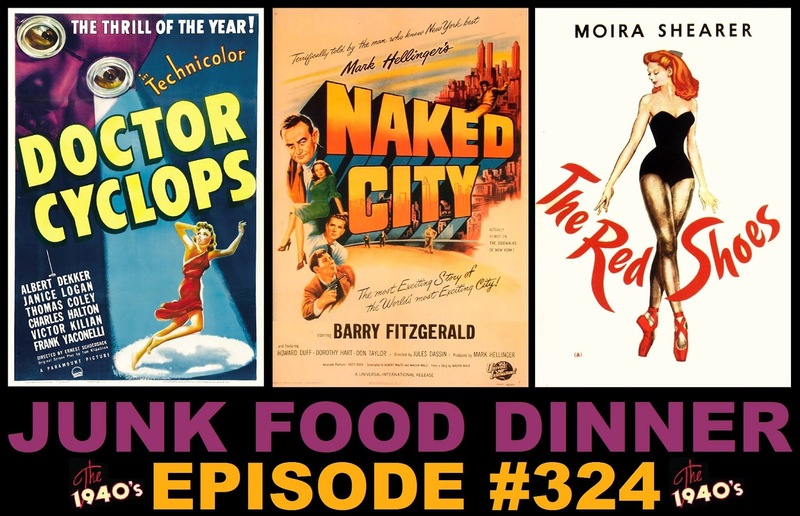 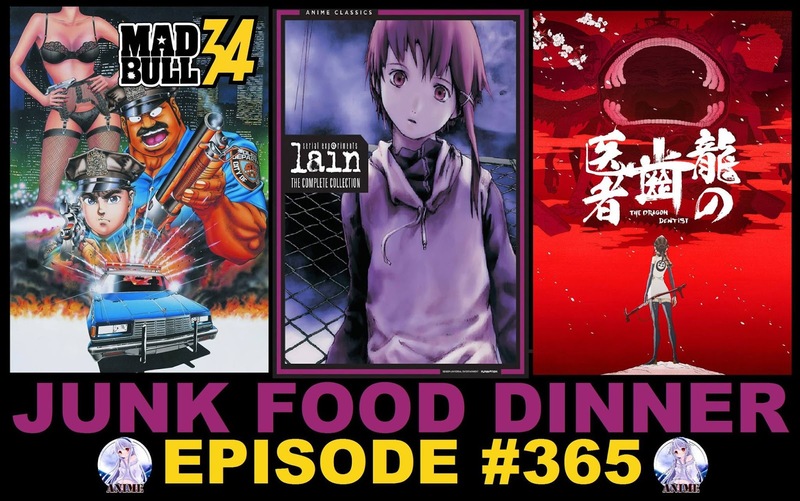 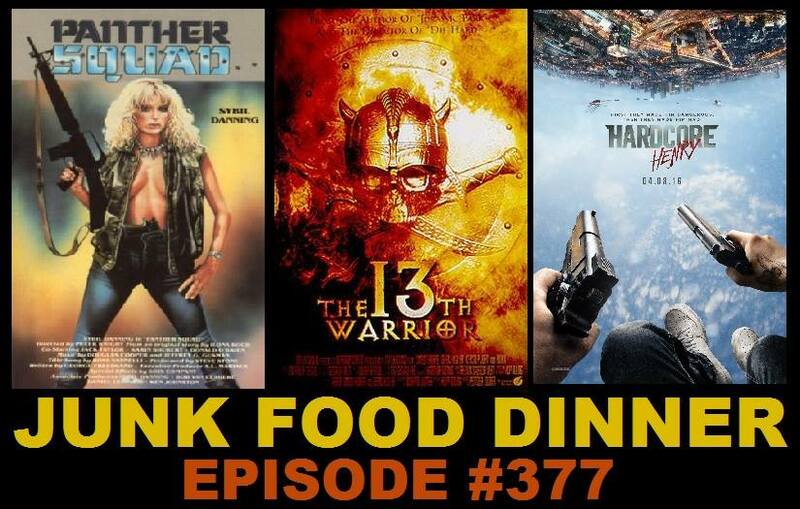 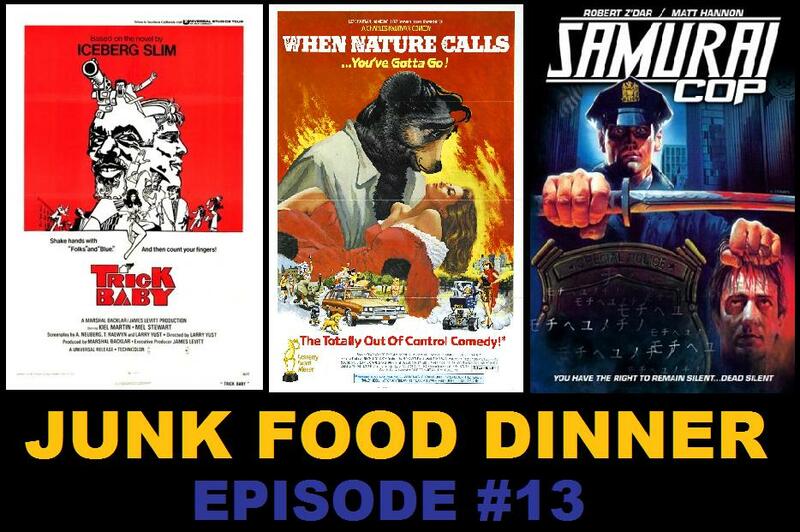 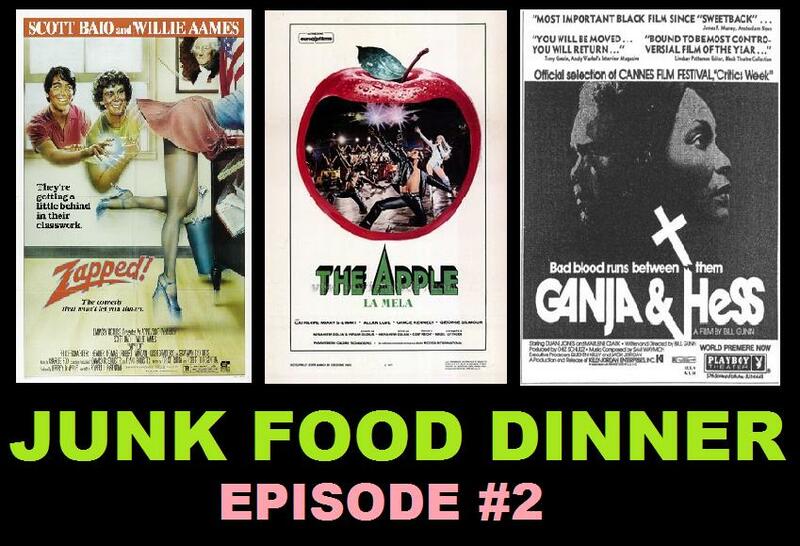 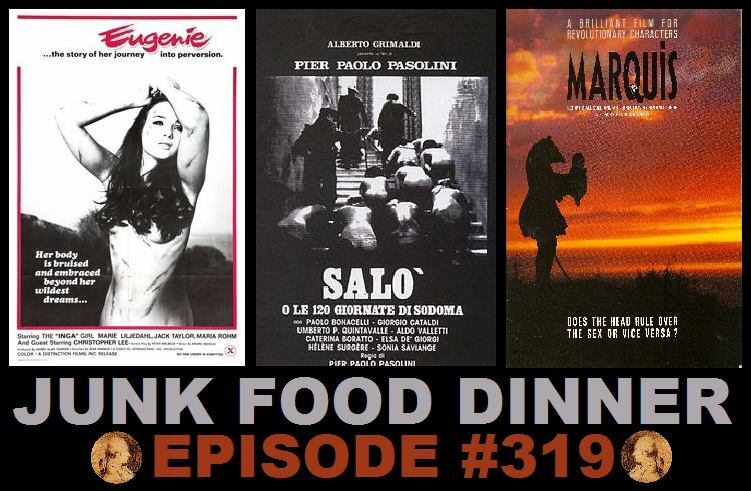 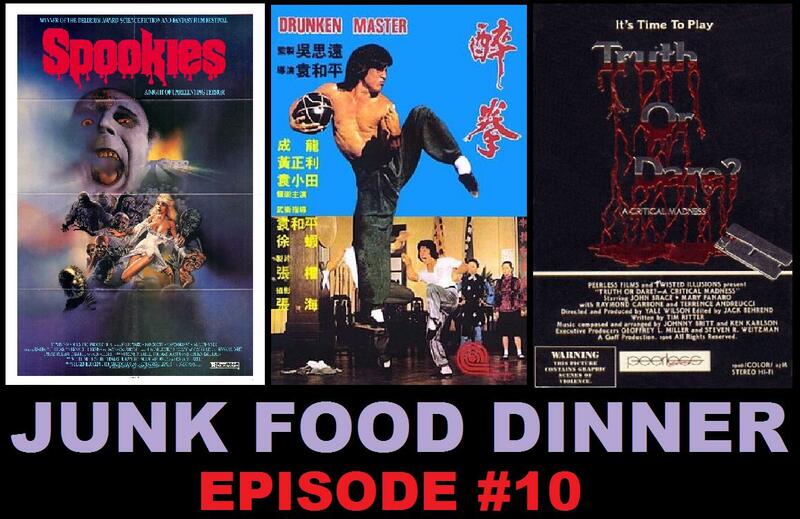 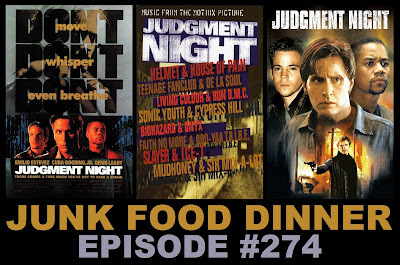 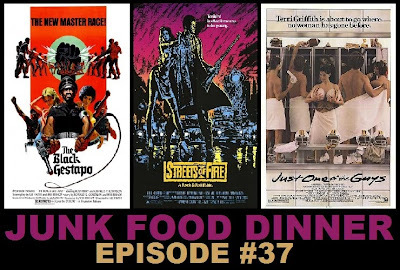 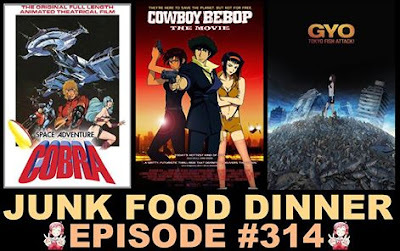 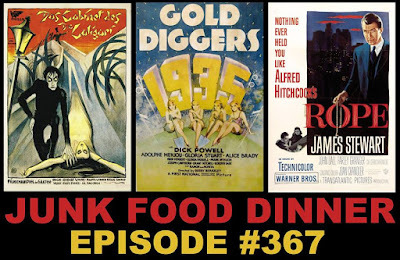 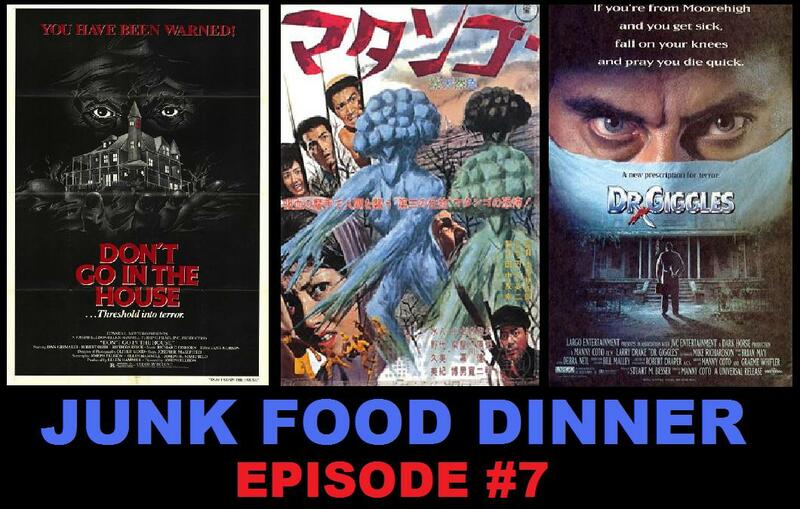 If you had been, you'd know that this, our 16th episode, happens to also be our 4th Theme Show! 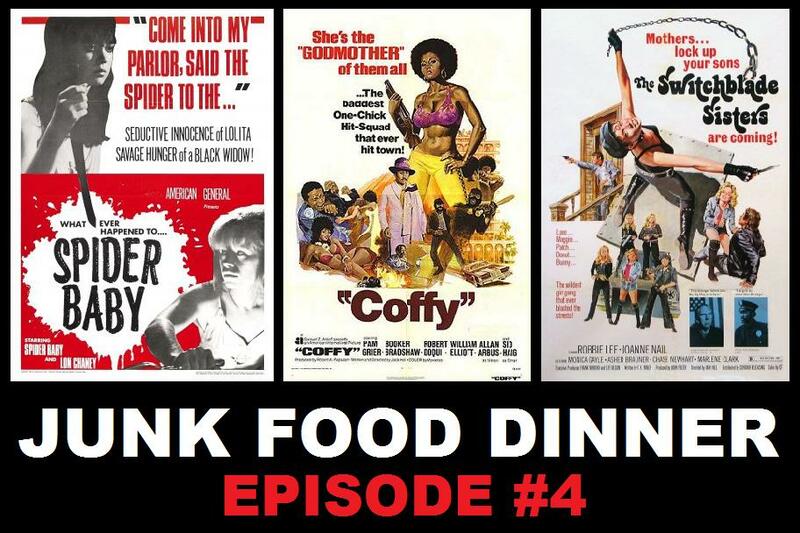 This week we sit down (read as: Skype) with none other than cult favorite- Mr. Frank Henenlotter!!! 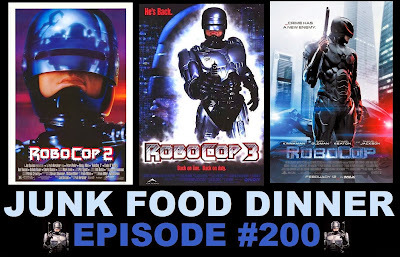 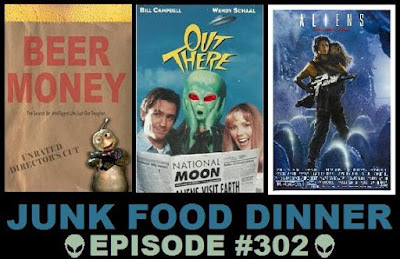 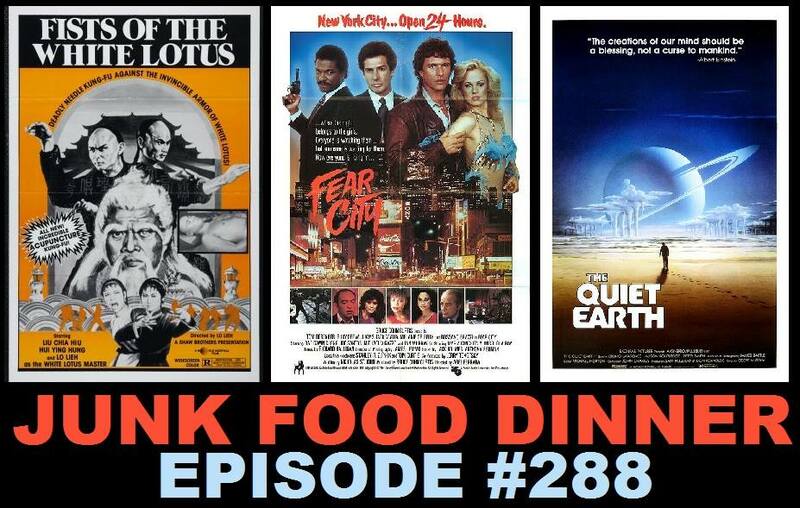 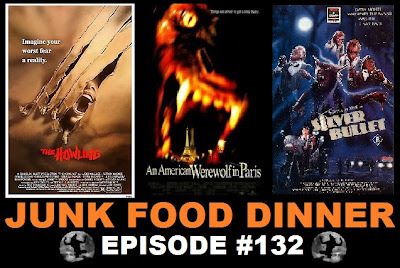 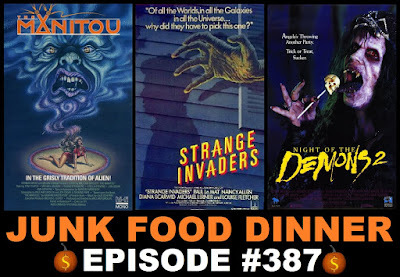 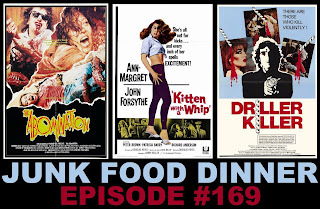 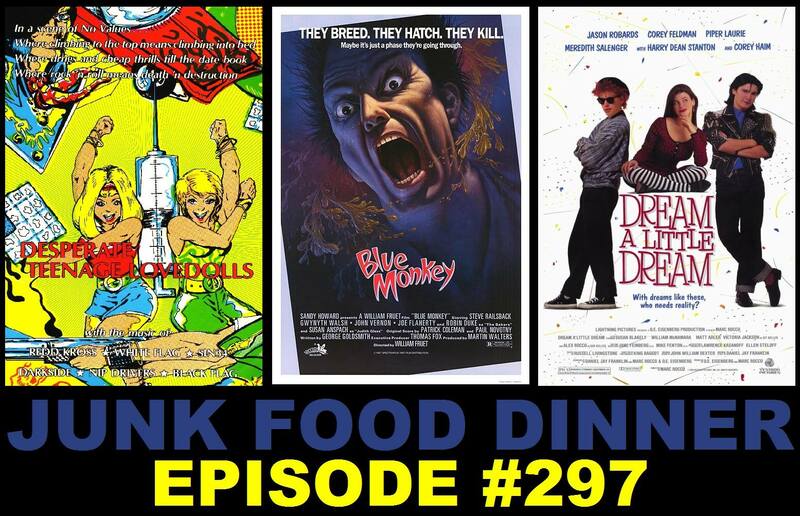 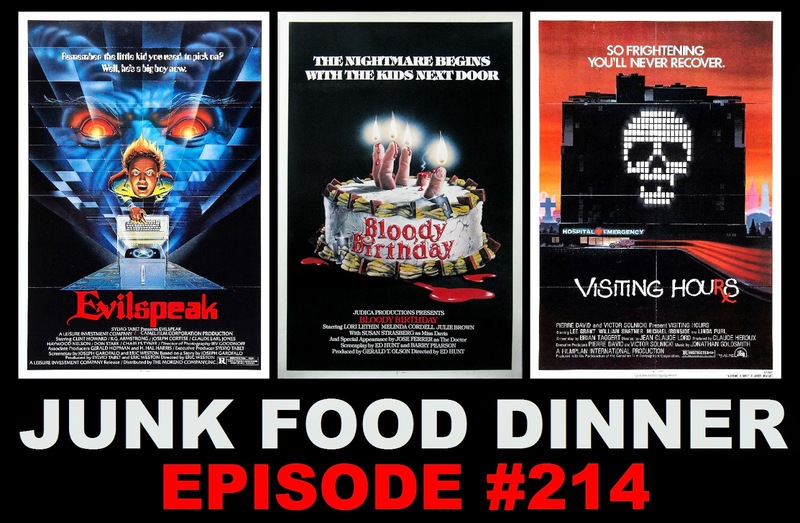 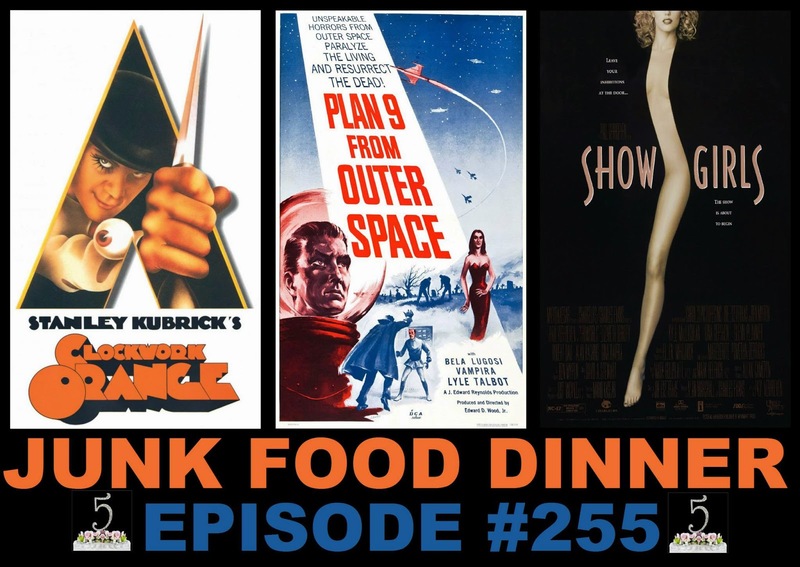 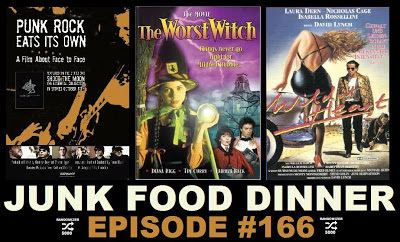 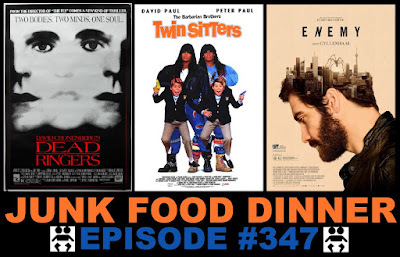 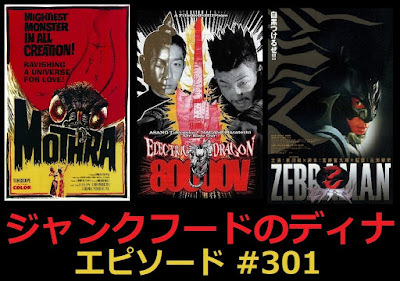 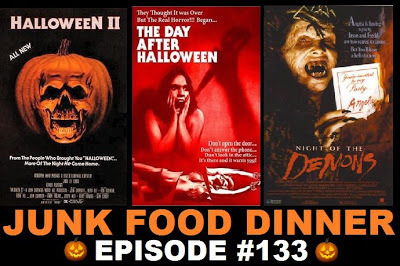 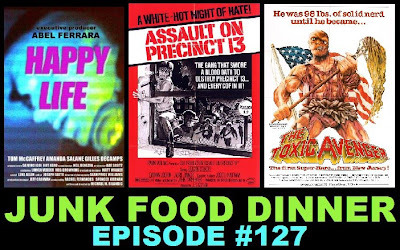 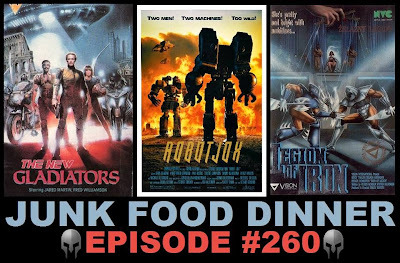 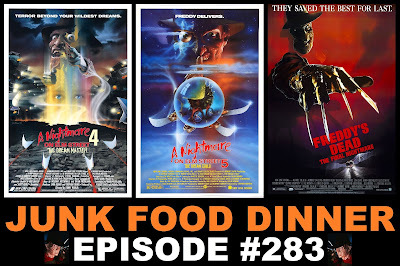 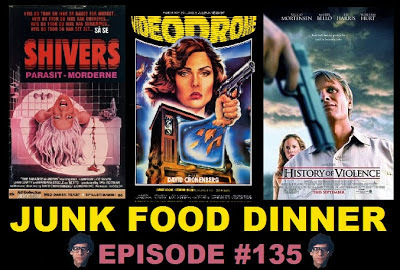 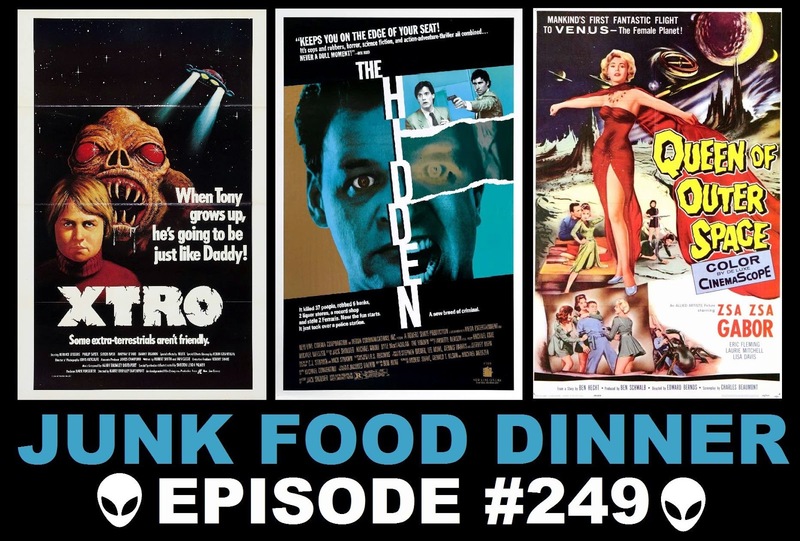 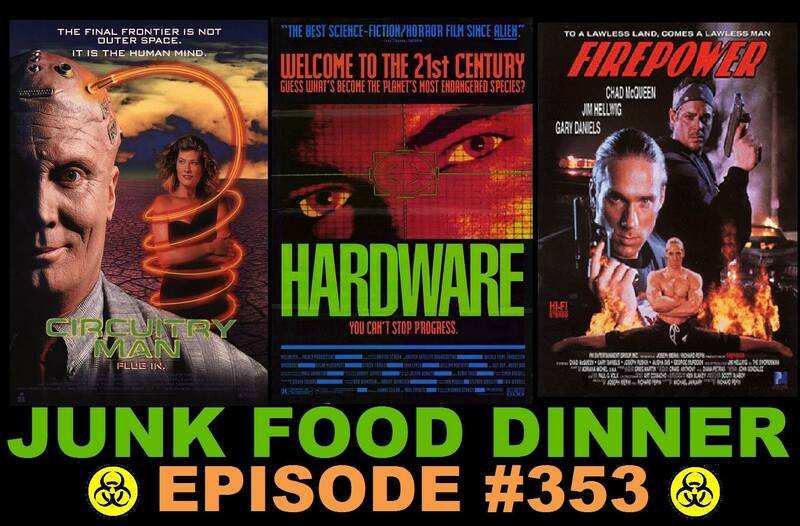 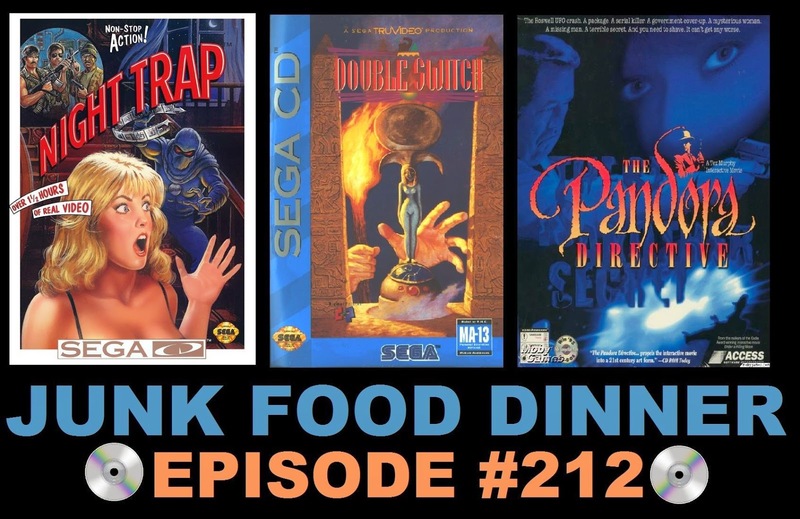 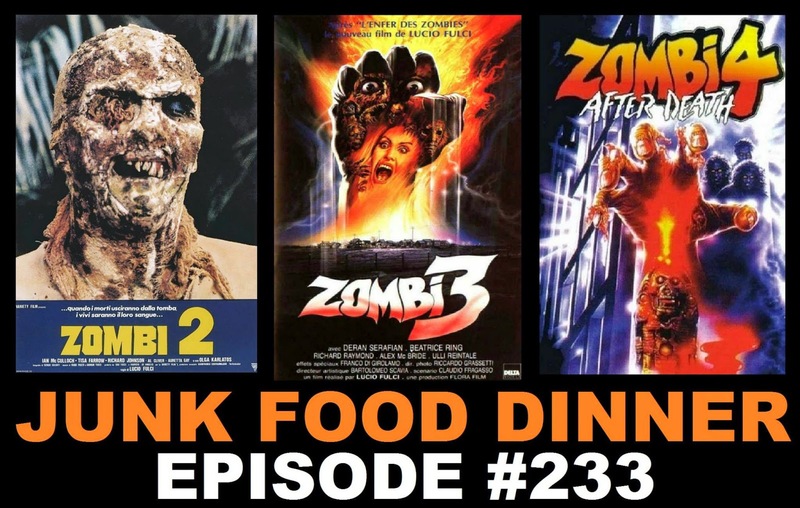 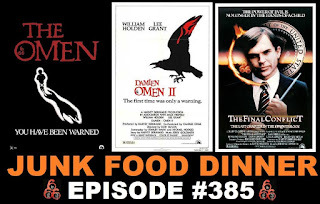 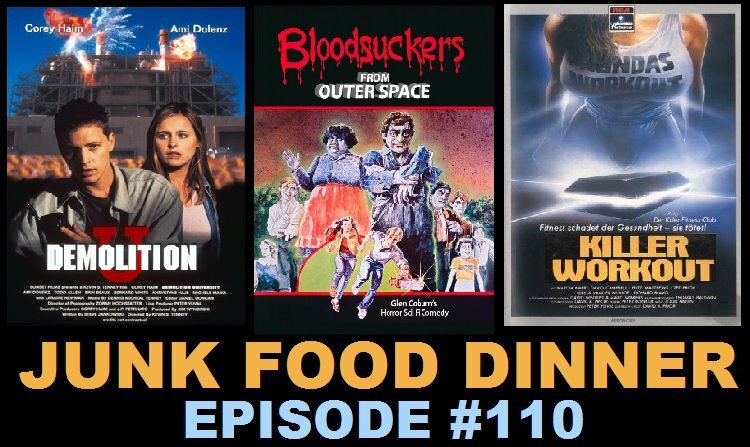 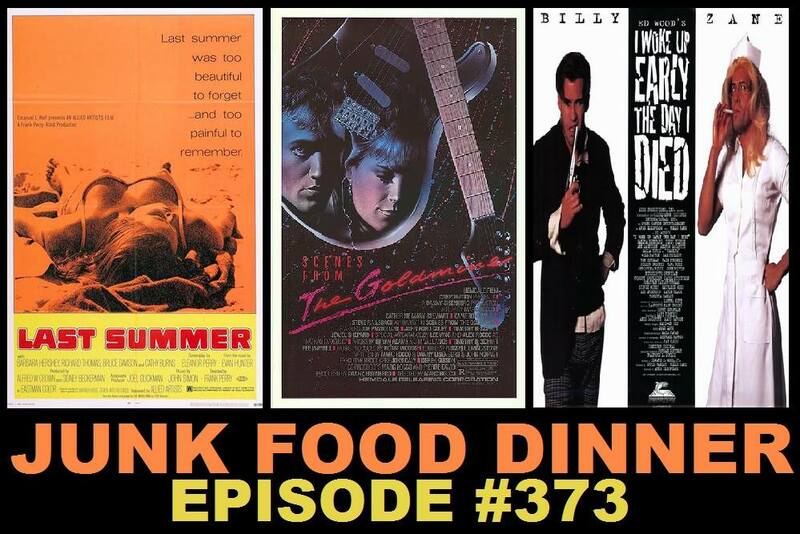 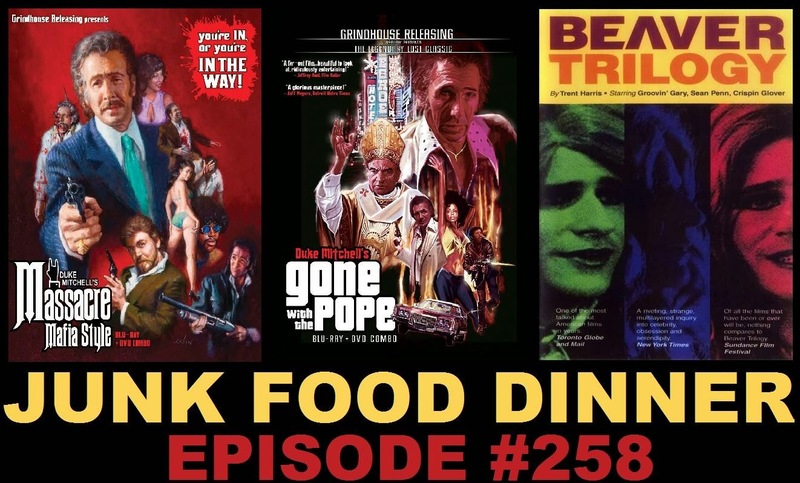 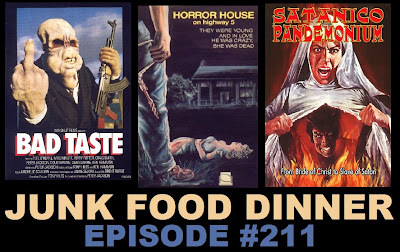 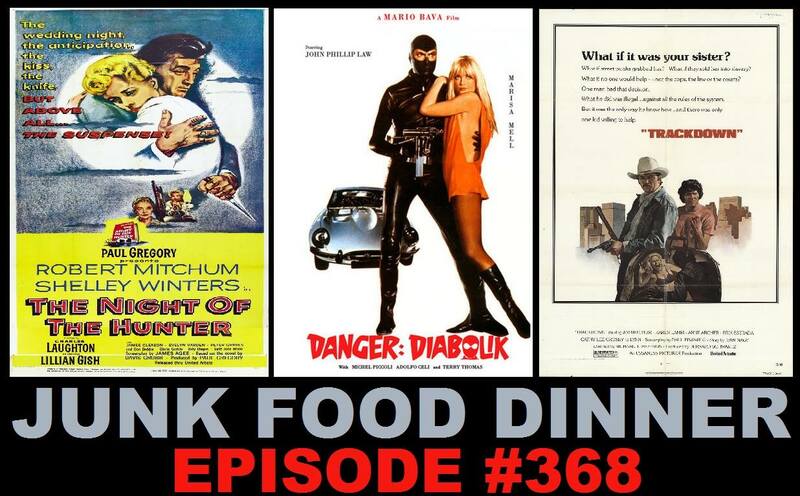 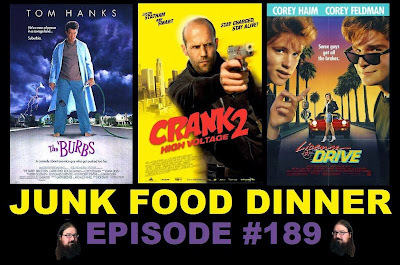 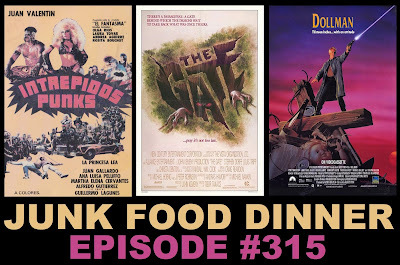 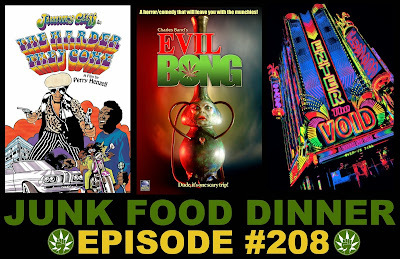 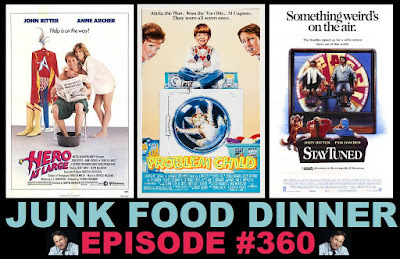 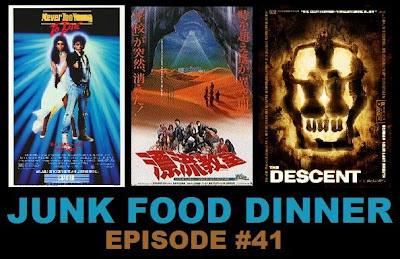 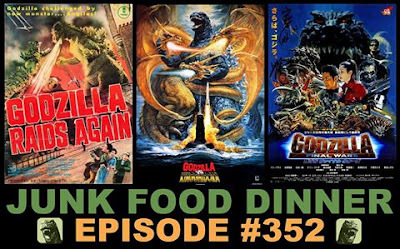 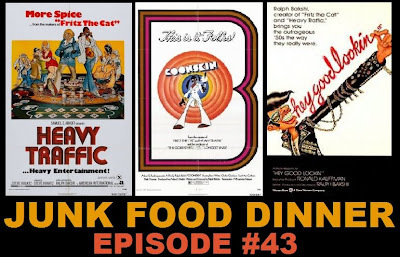 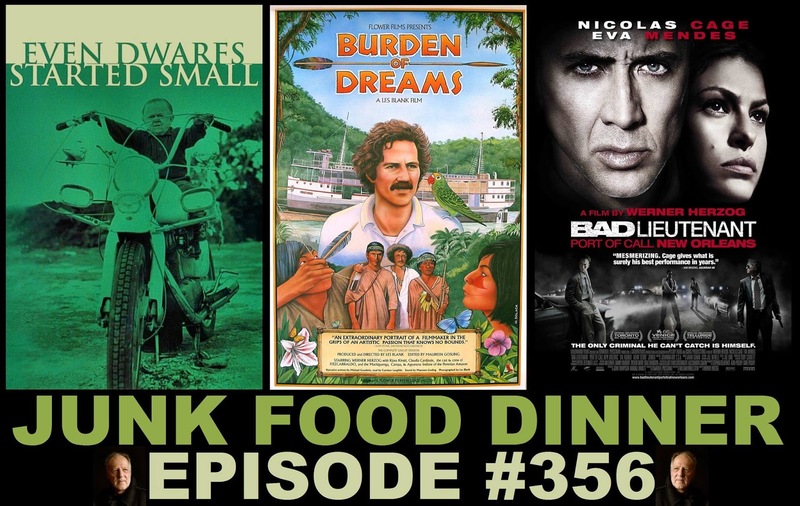 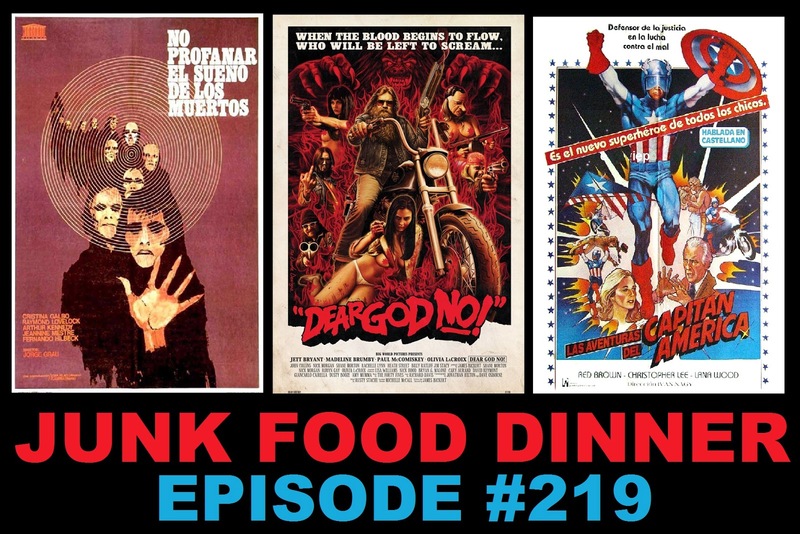 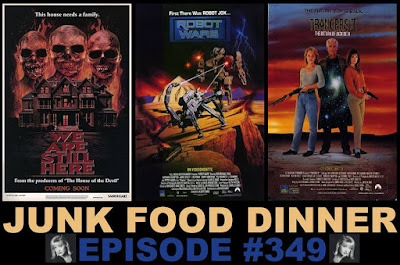 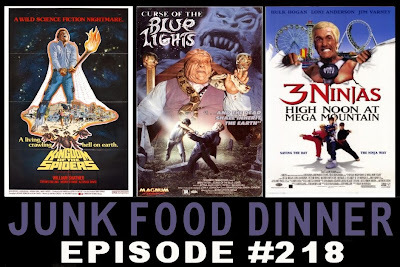 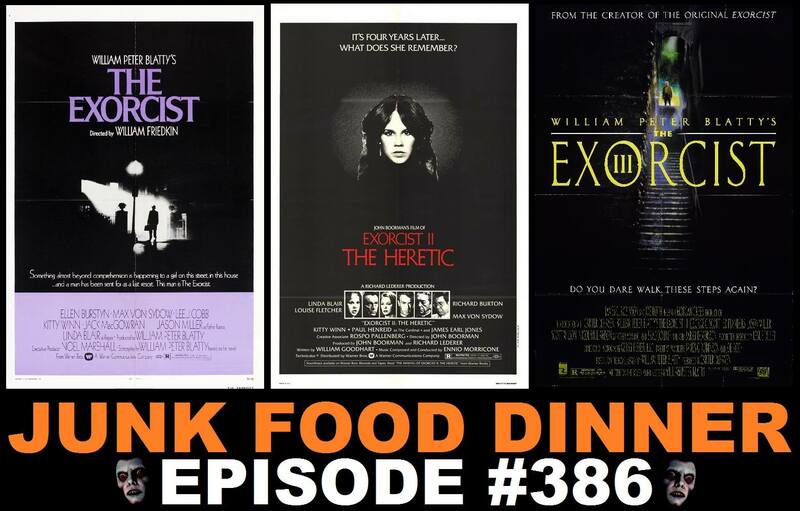 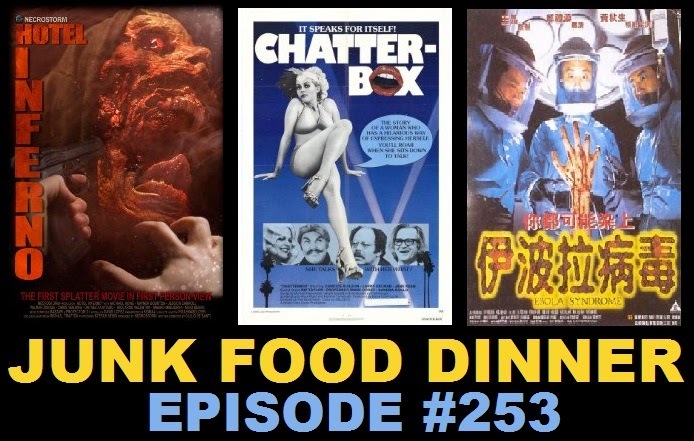 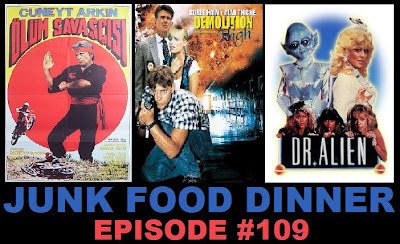 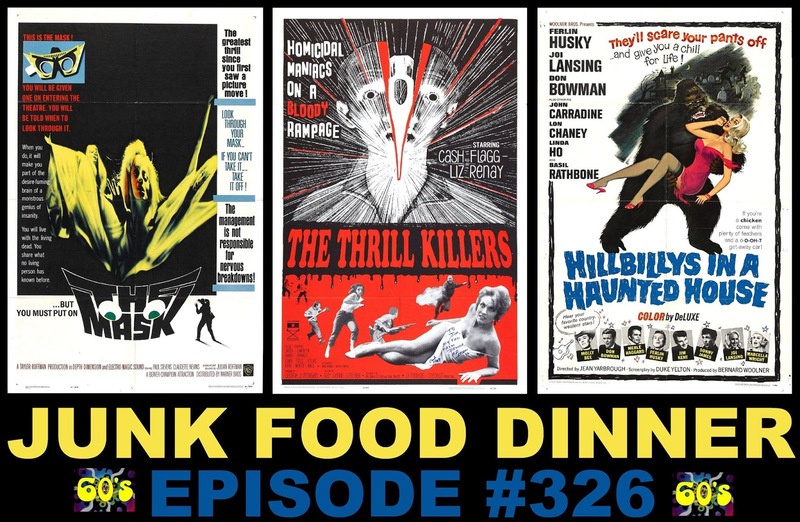 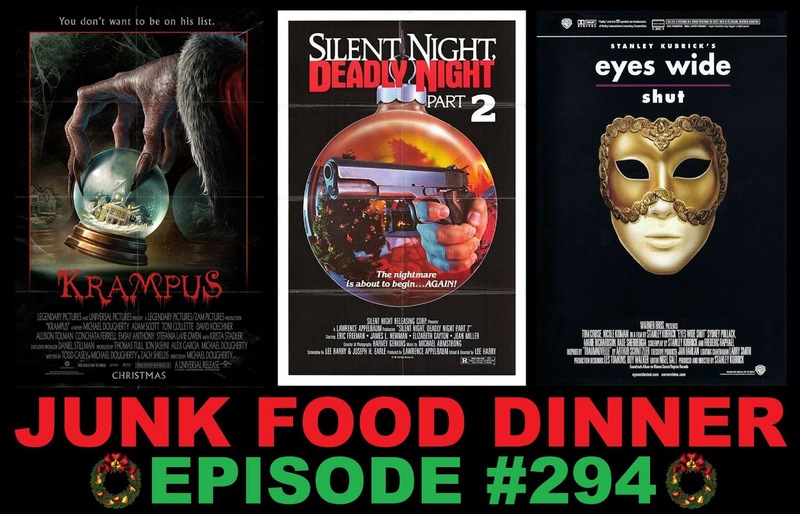 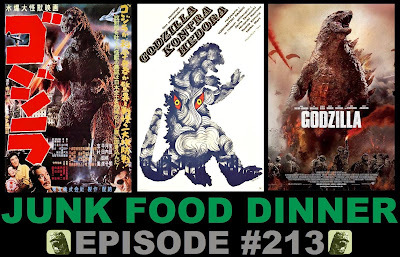 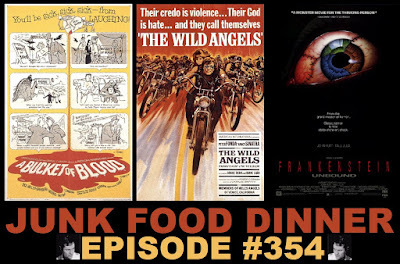 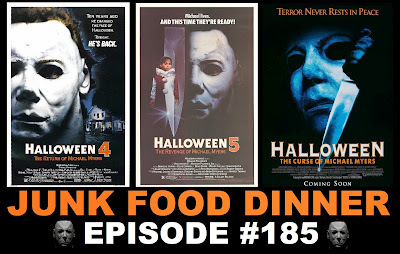 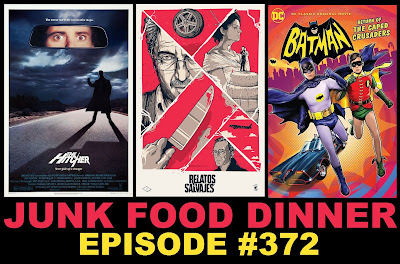 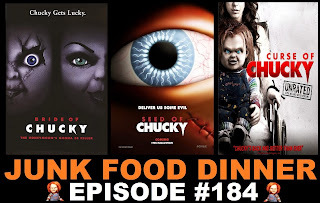 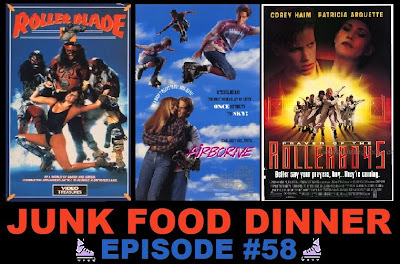 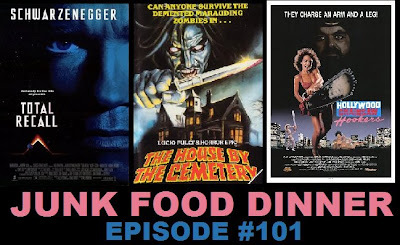 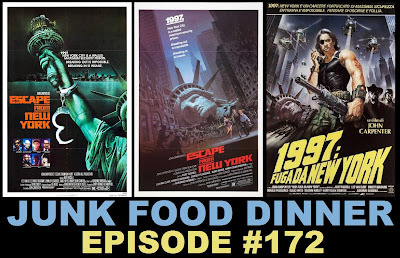 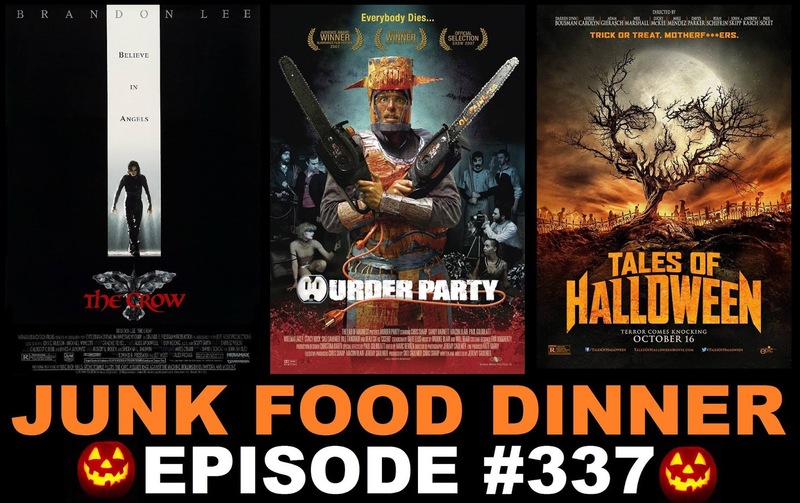 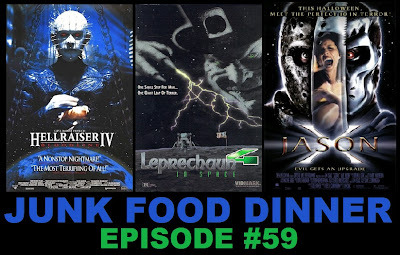 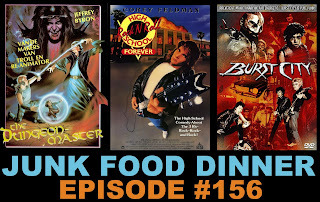 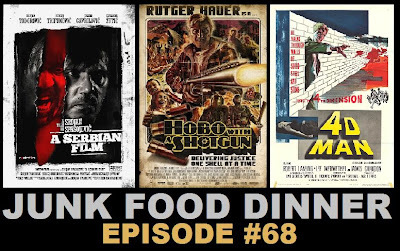 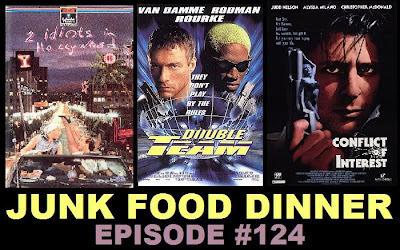 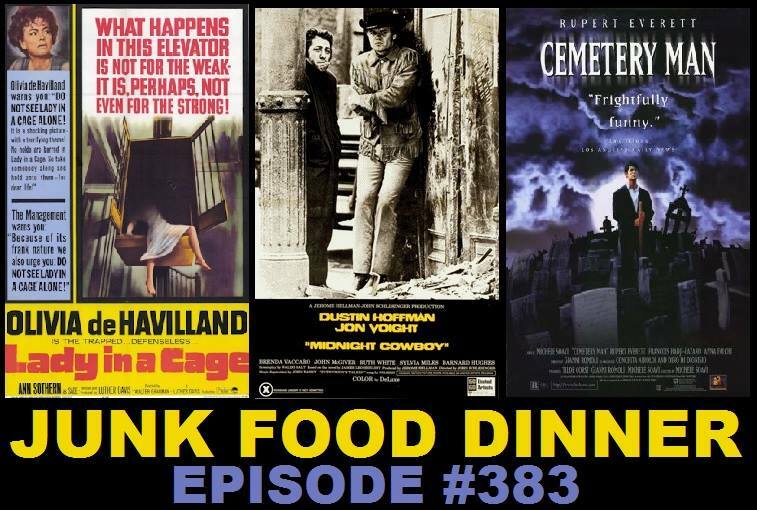 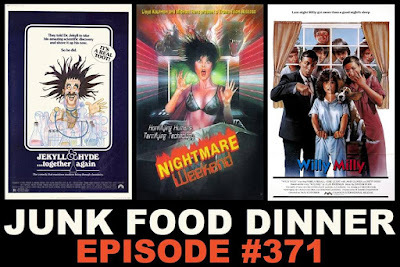 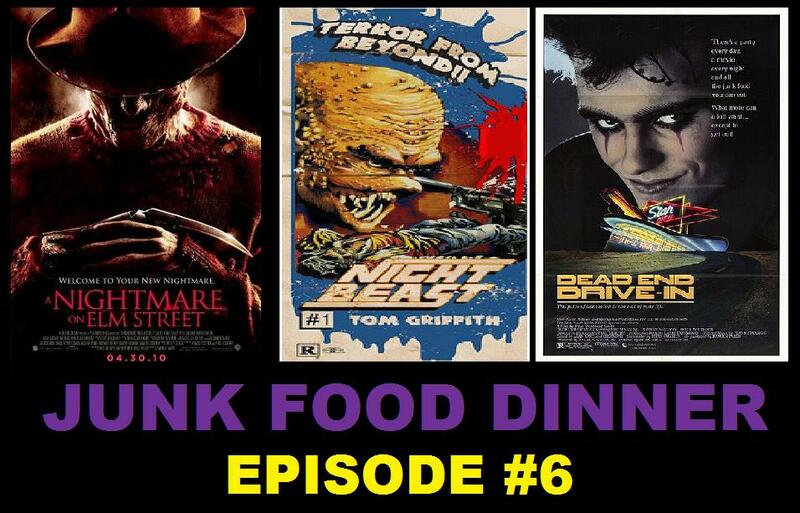 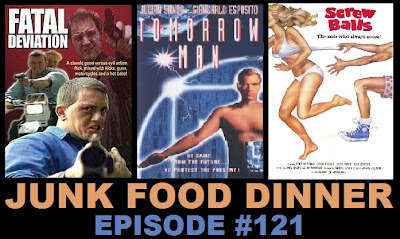 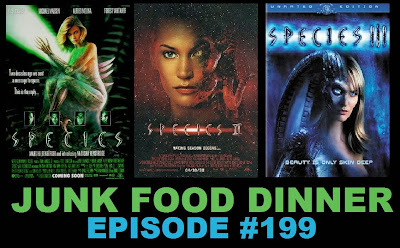 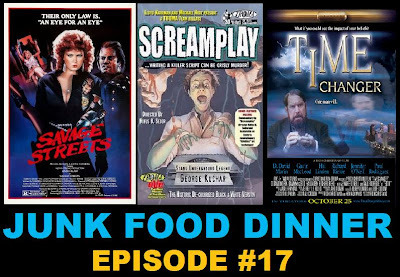 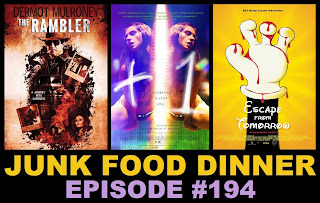 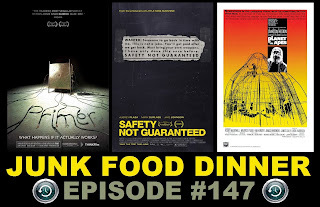 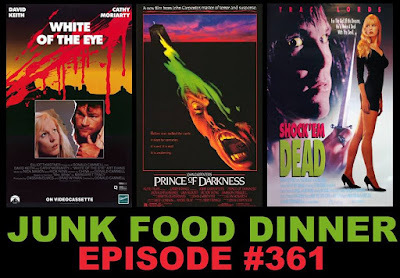 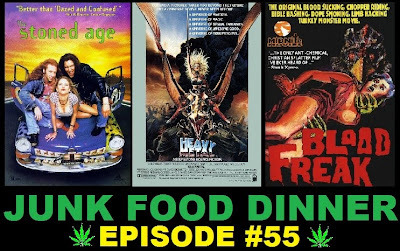 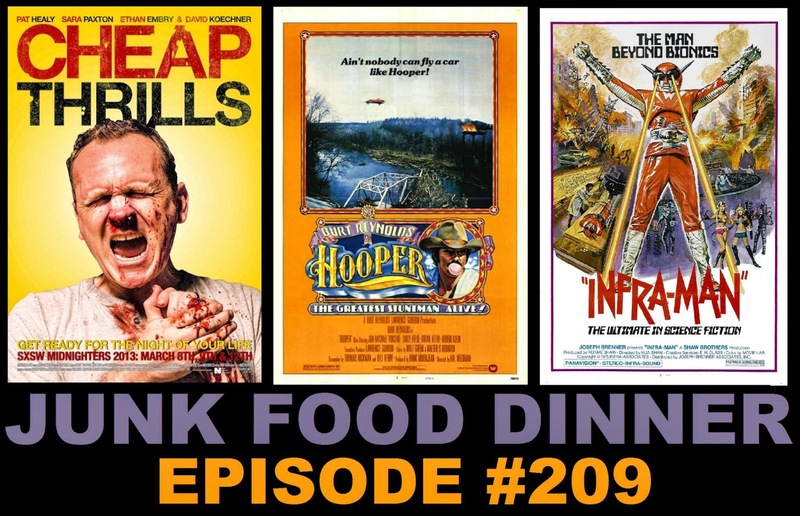 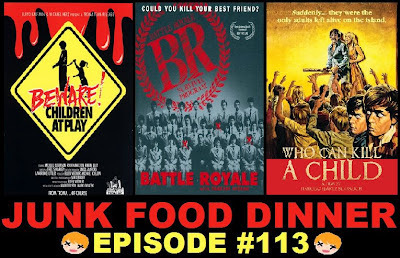 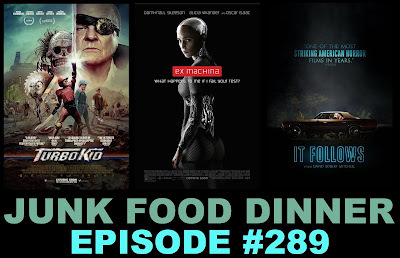 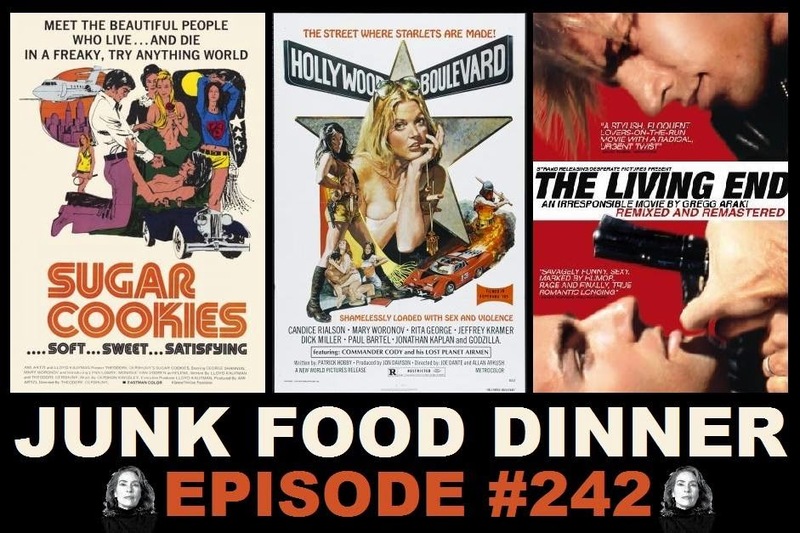 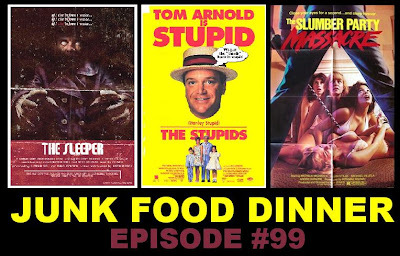 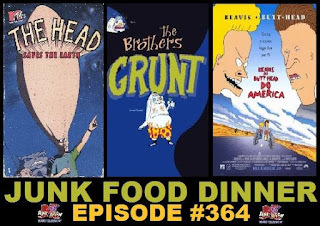 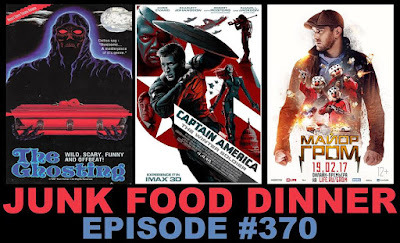 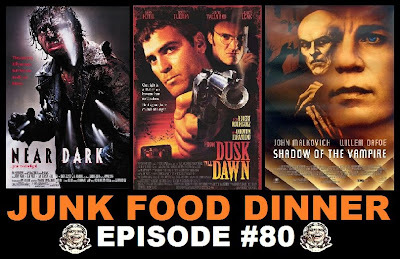 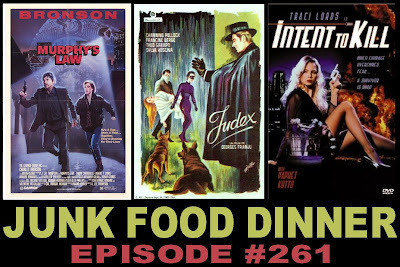 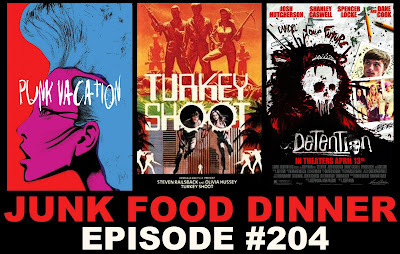 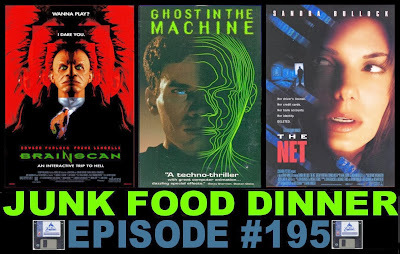 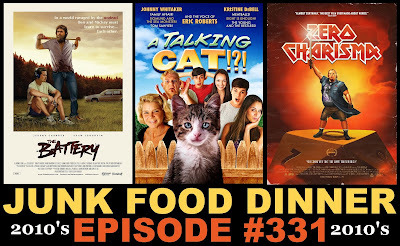 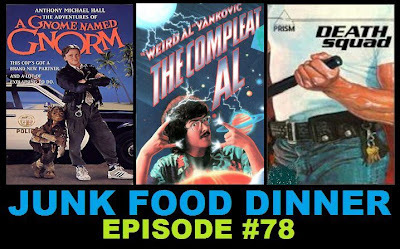 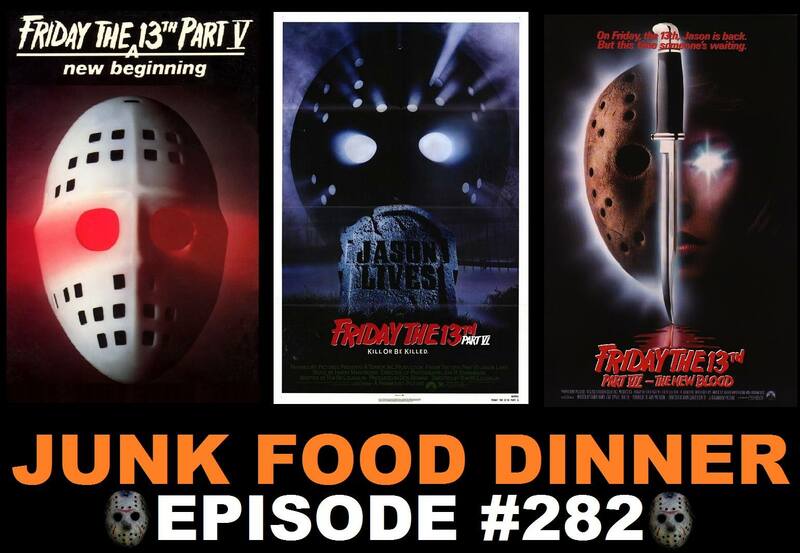 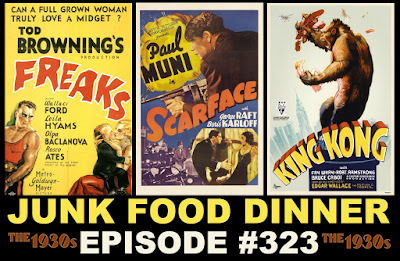 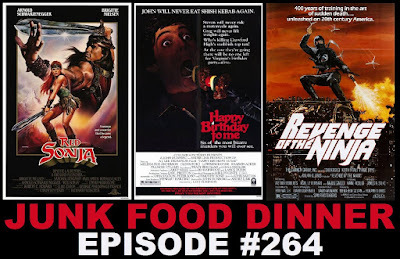 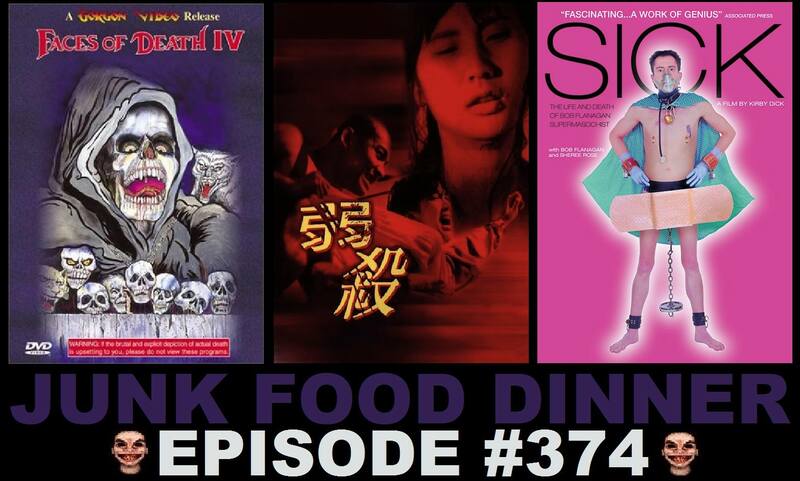 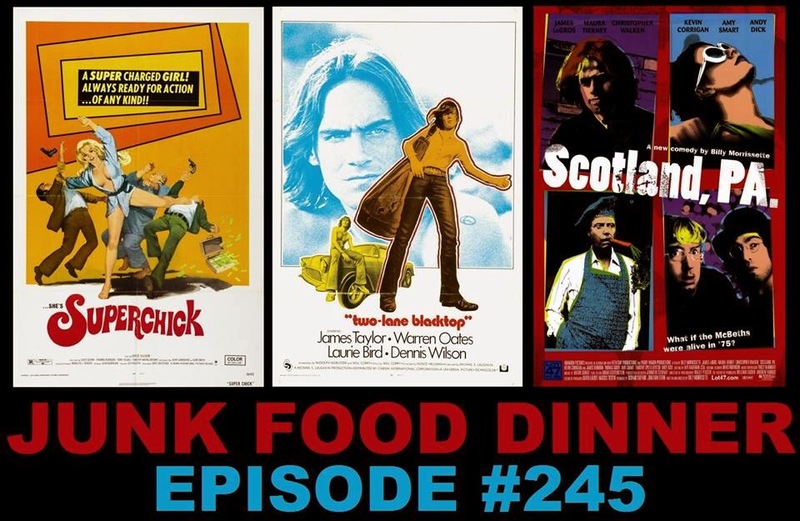 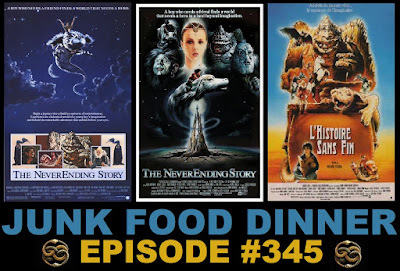 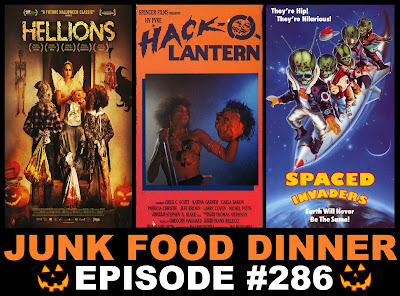 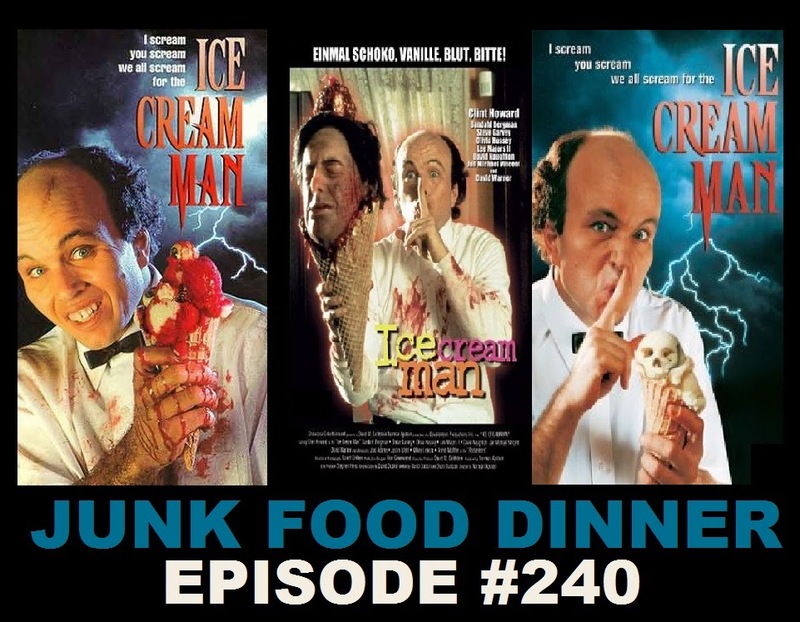 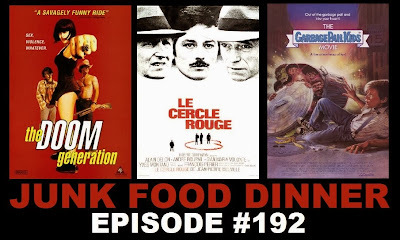 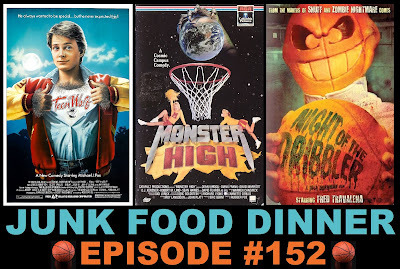 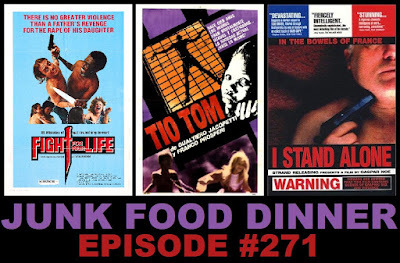 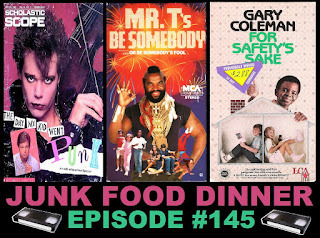 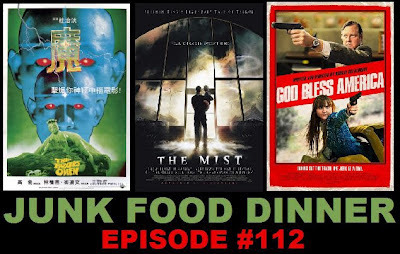 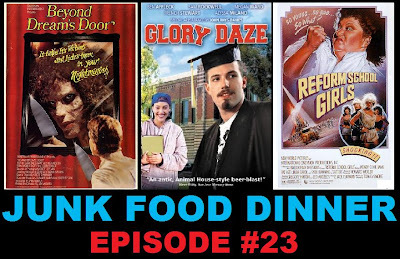 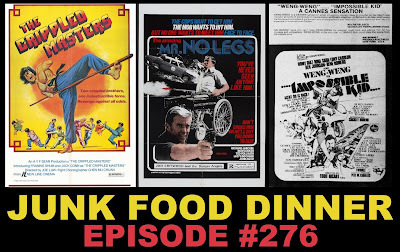 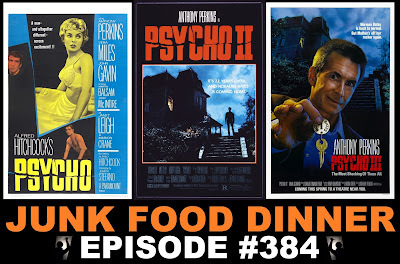 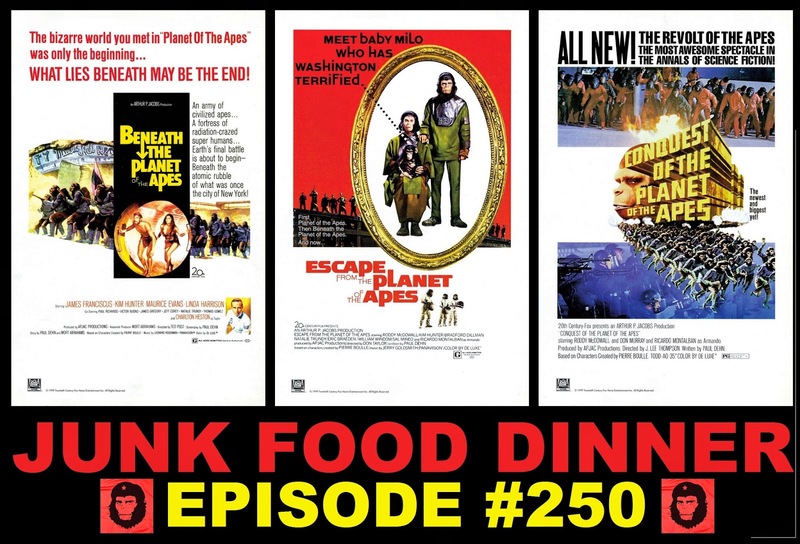 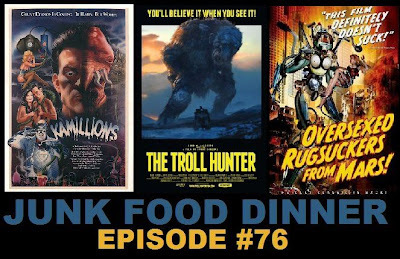 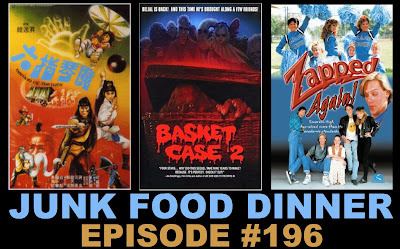 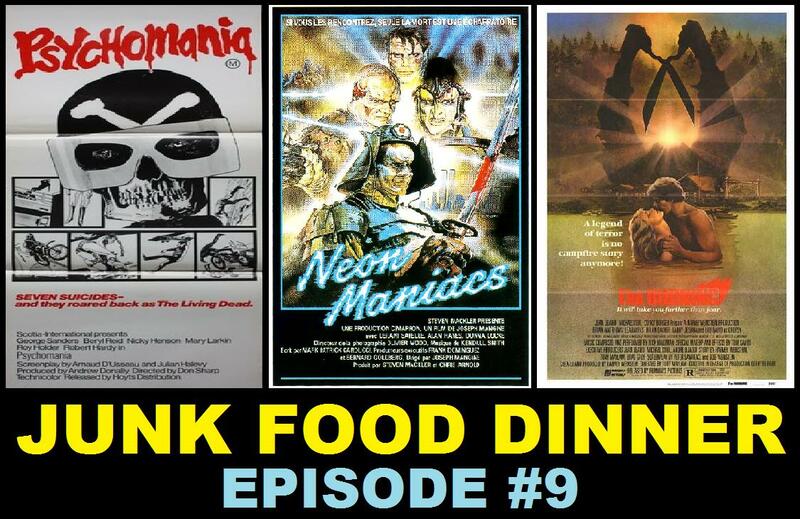 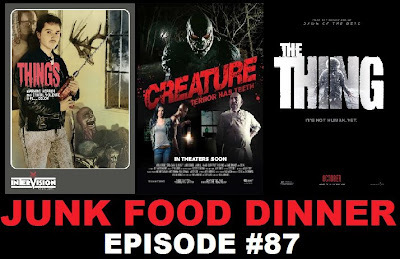 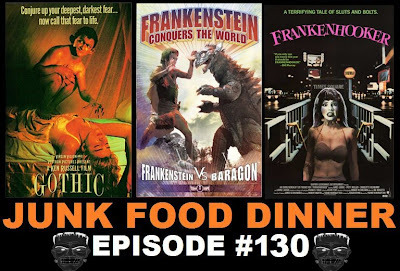 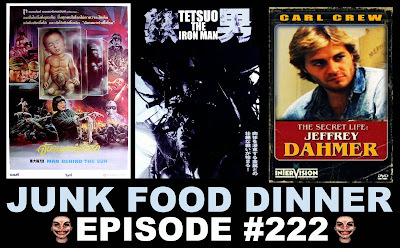 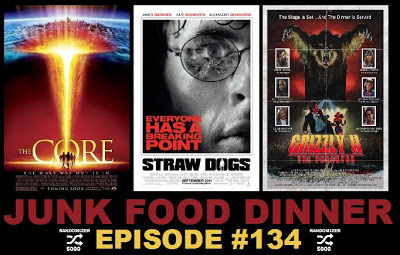 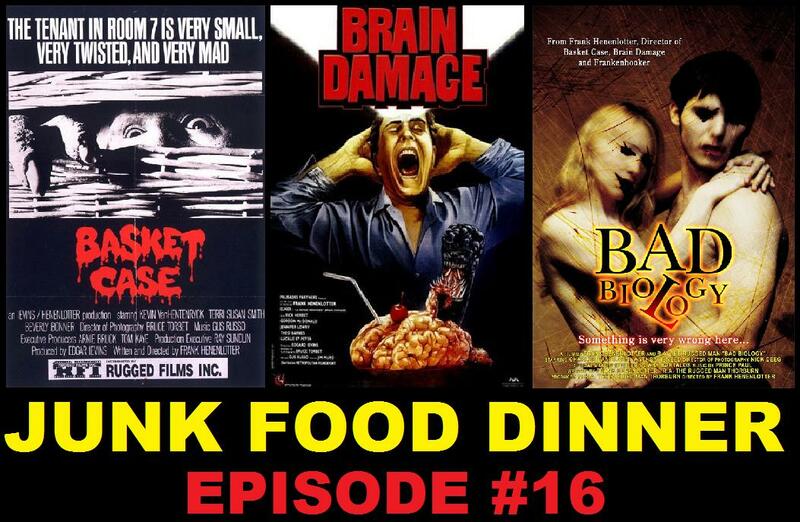 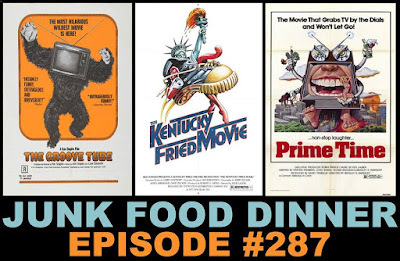 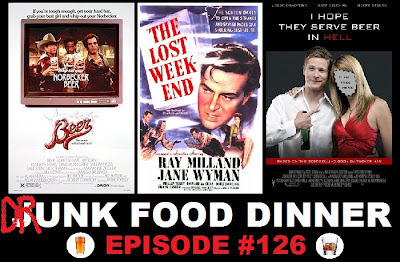 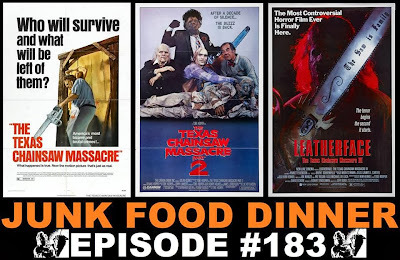 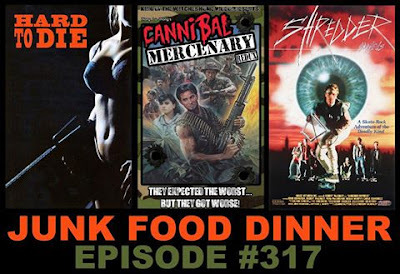 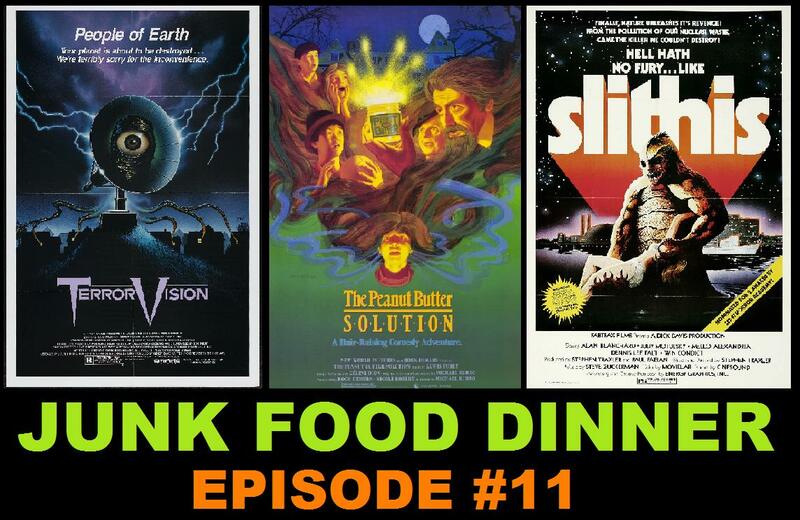 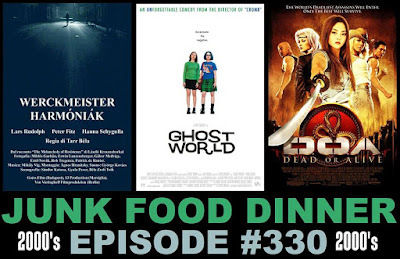 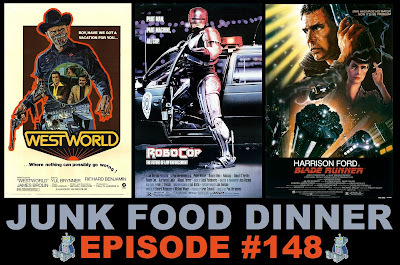 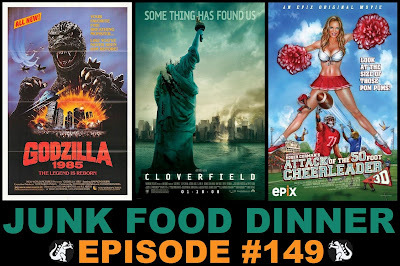 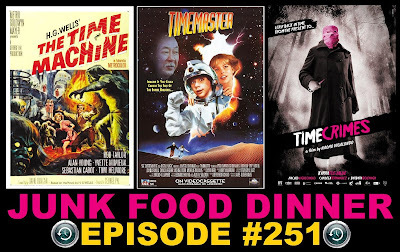 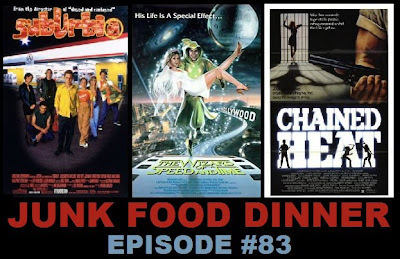 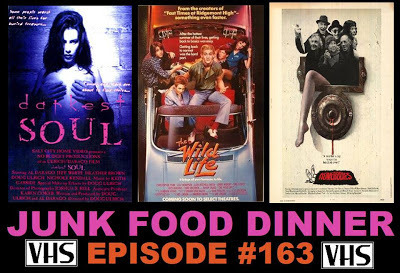 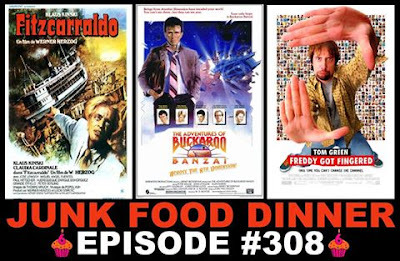 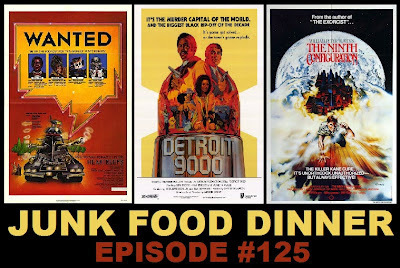 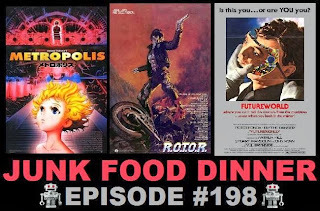 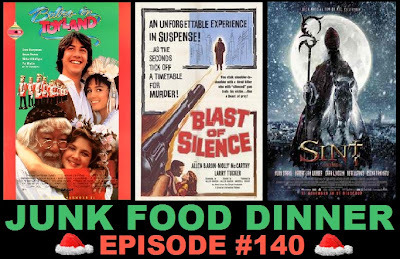 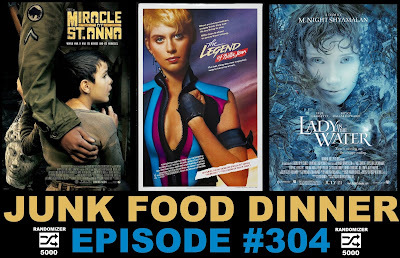 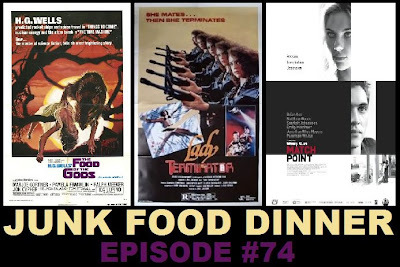 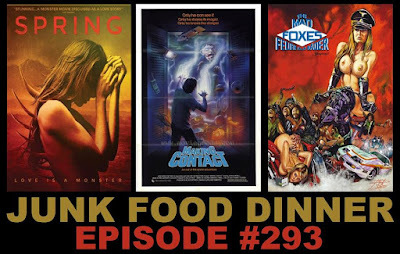 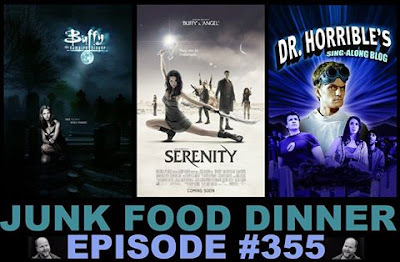 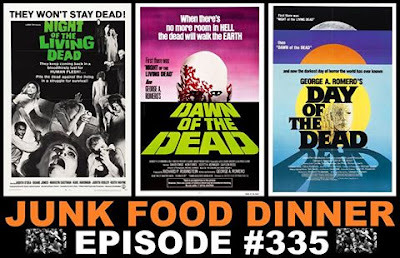 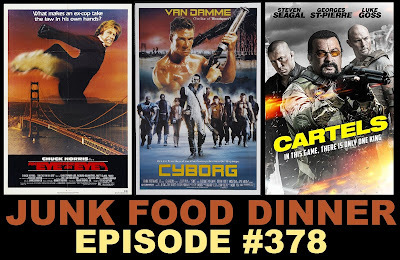 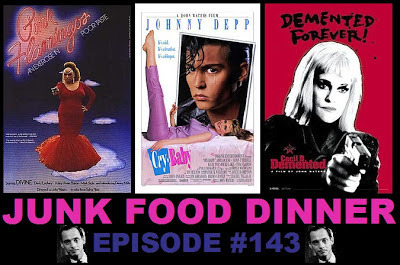 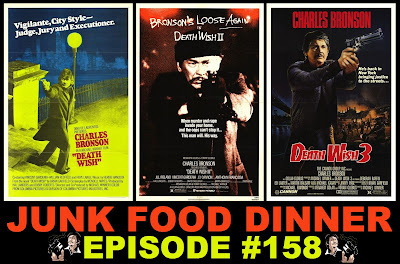 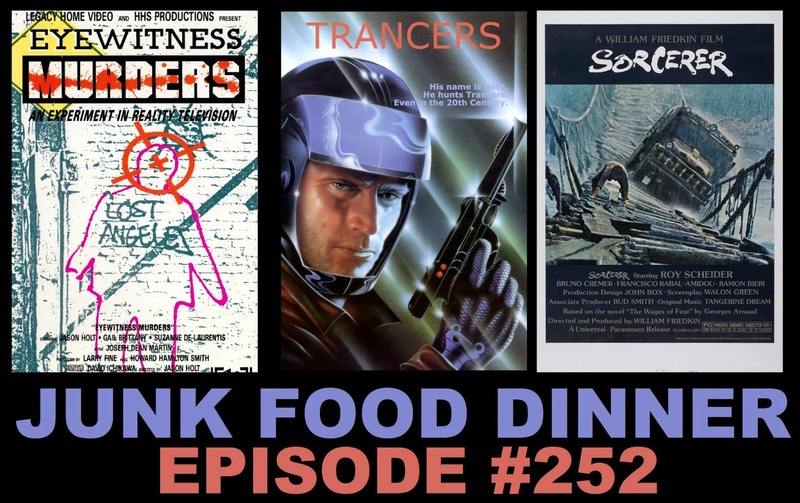 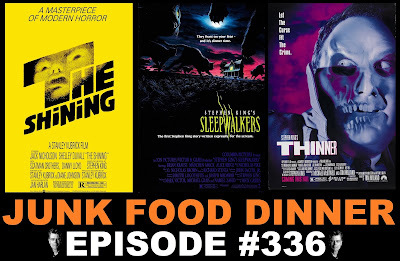 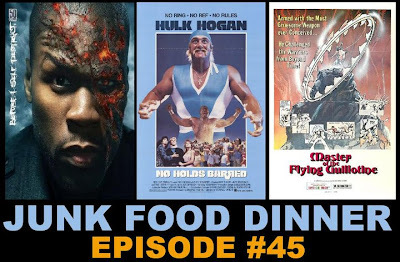 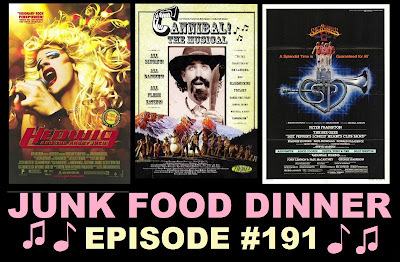 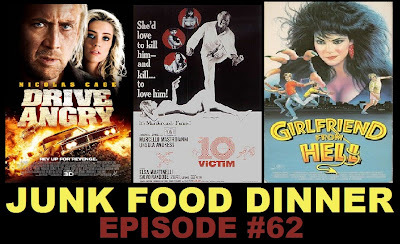 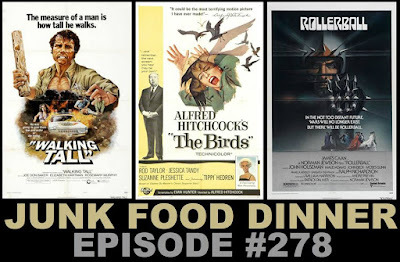 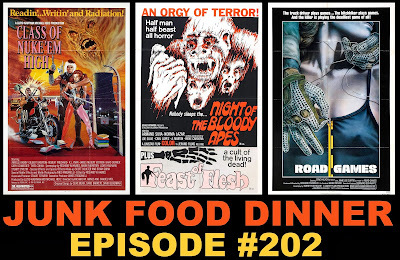 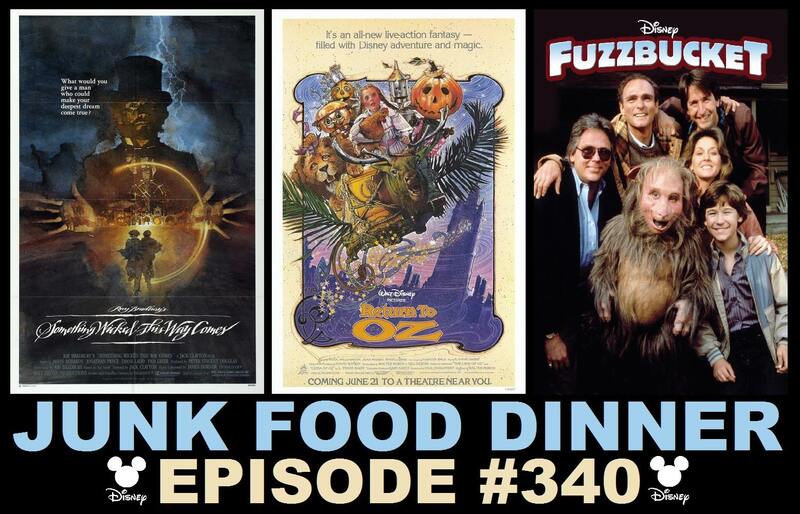 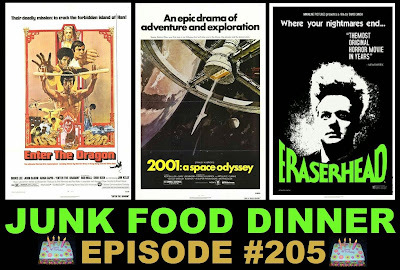 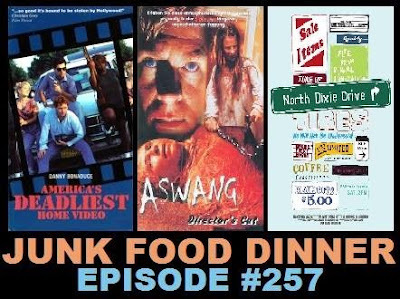 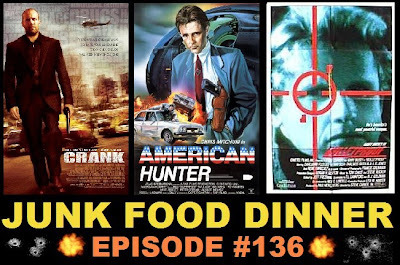 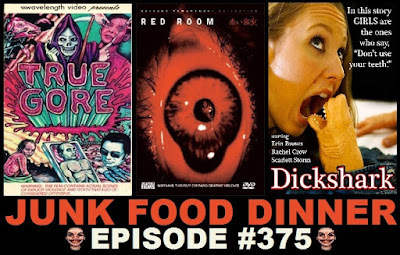 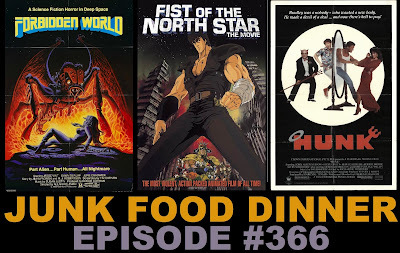 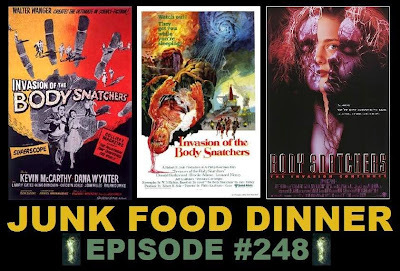 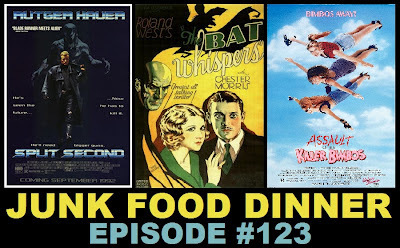 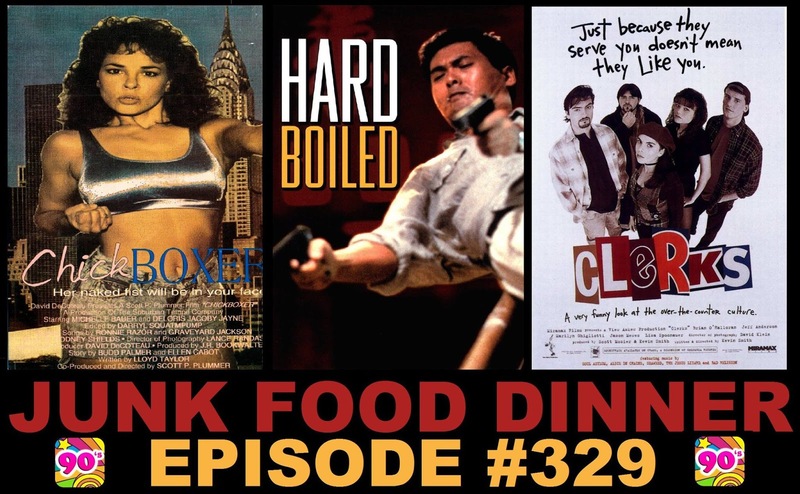 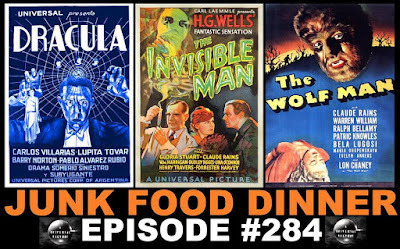 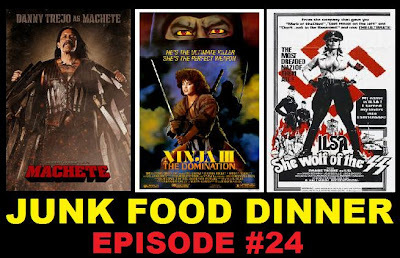 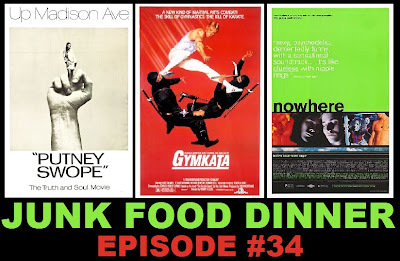 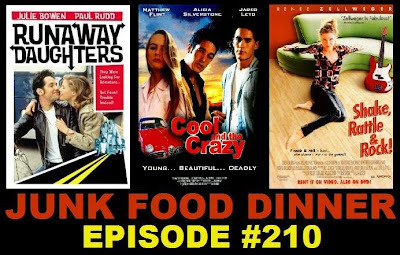 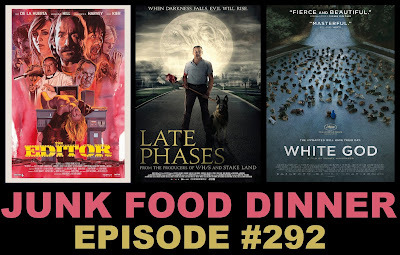 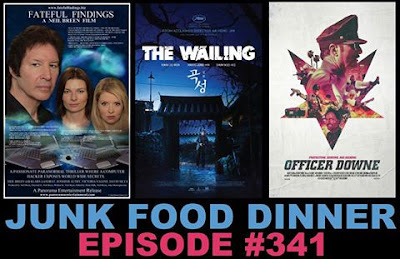 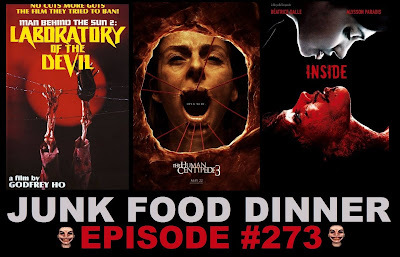 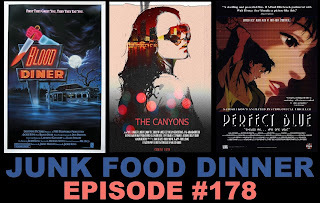 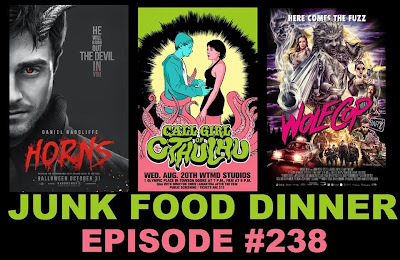 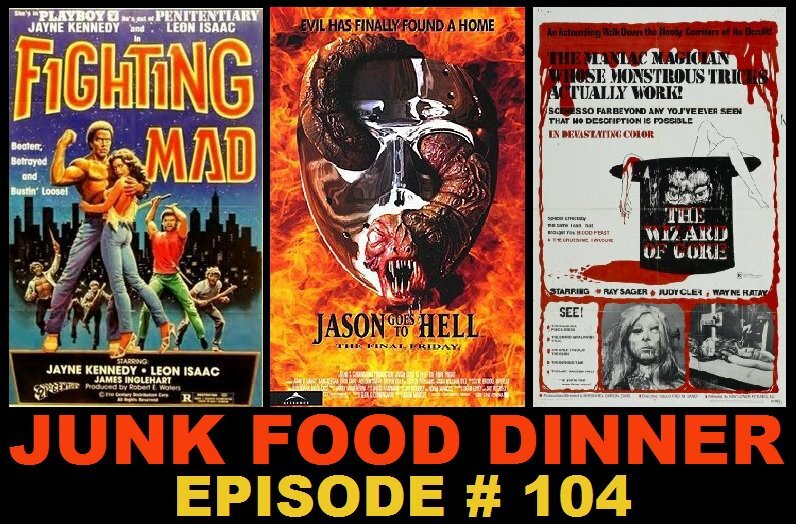 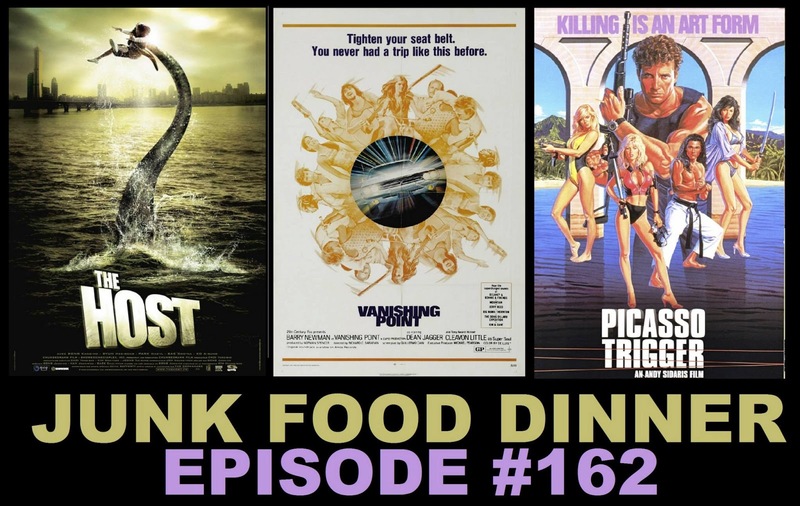 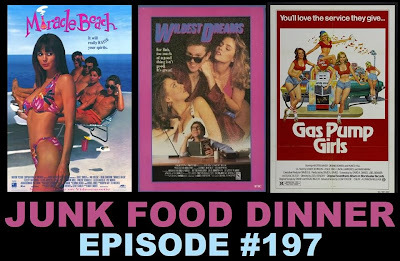 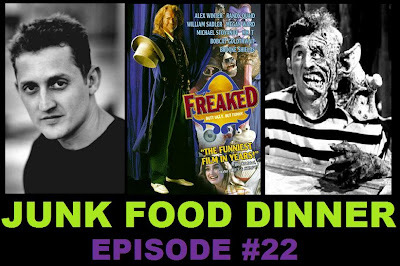 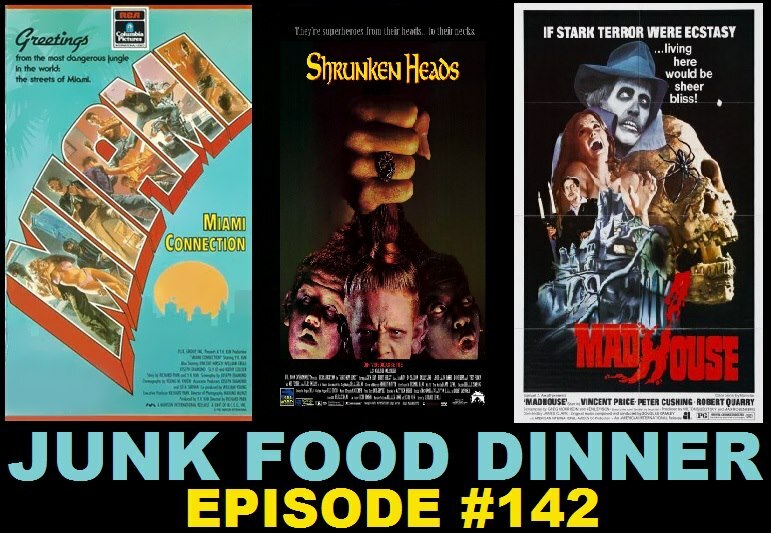 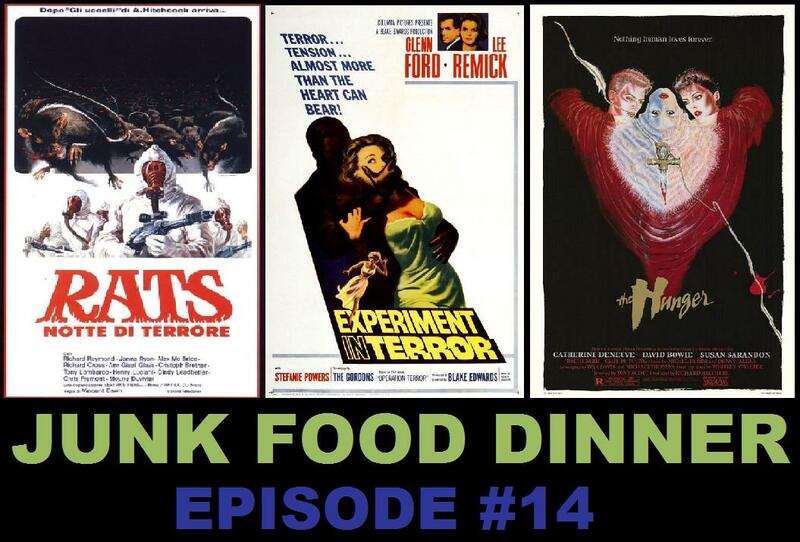 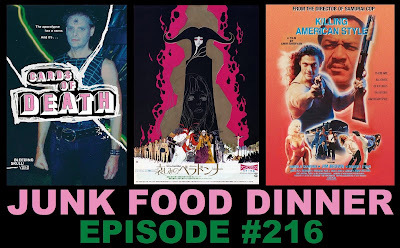 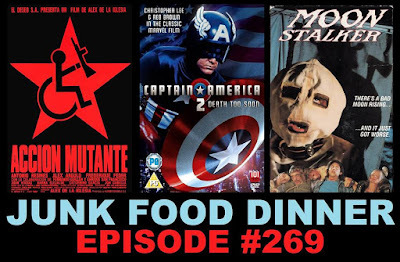 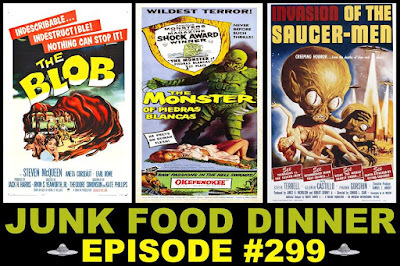 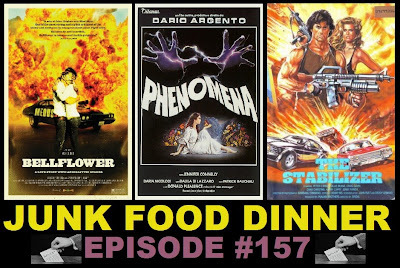 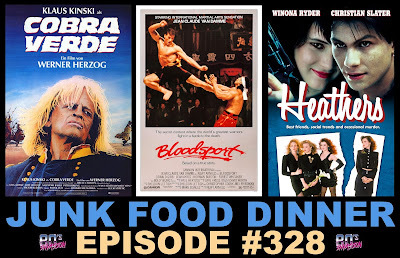 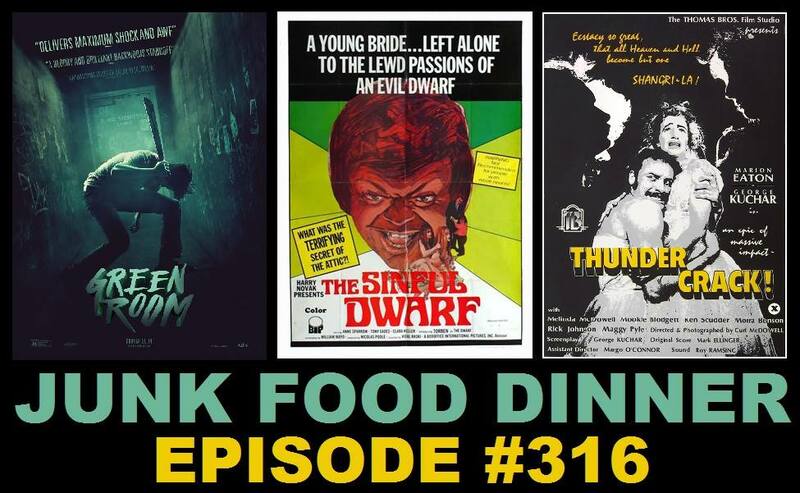 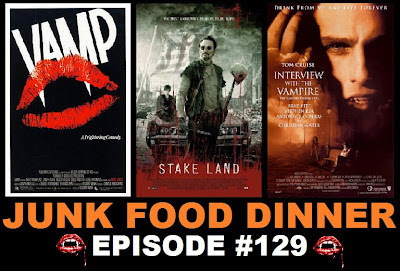 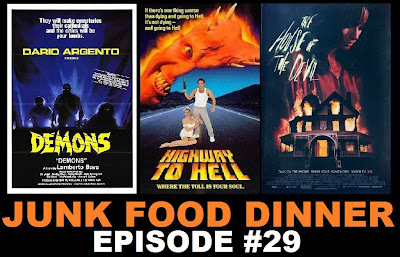 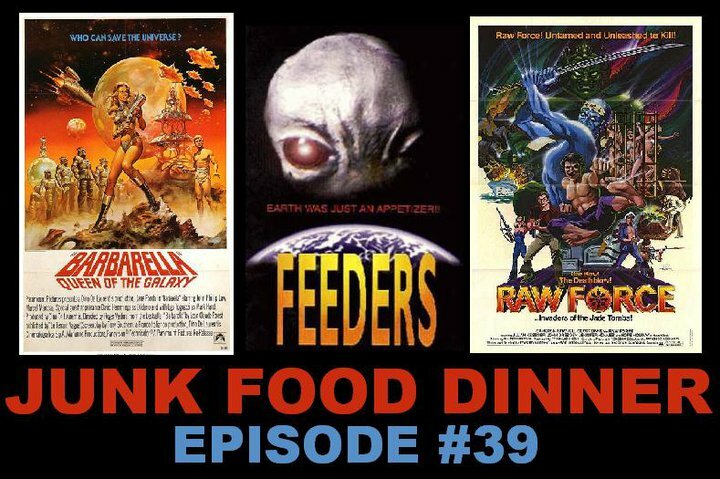 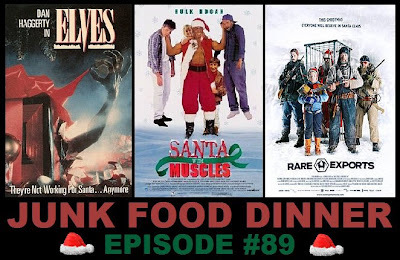 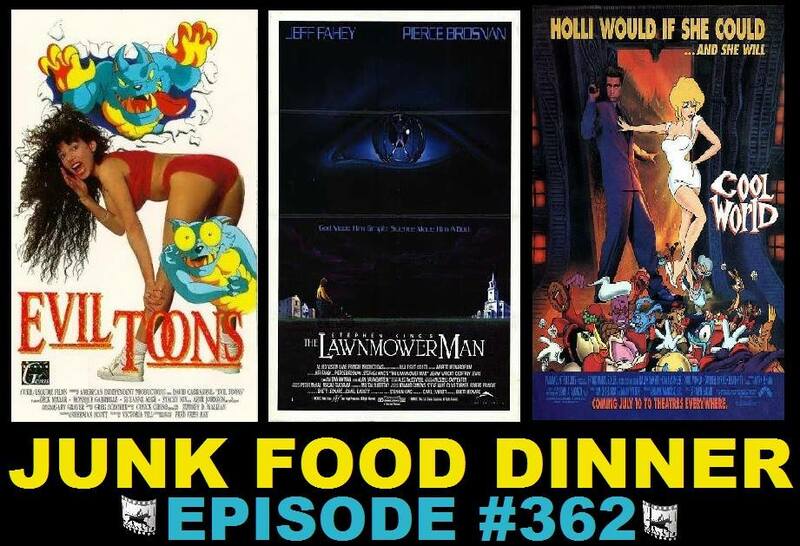 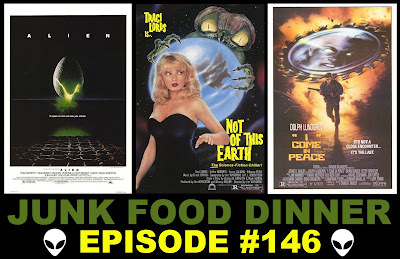 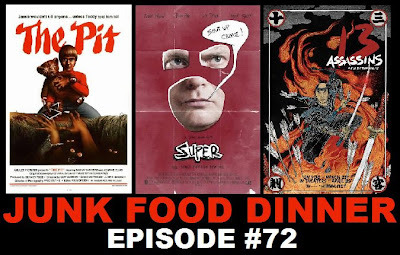 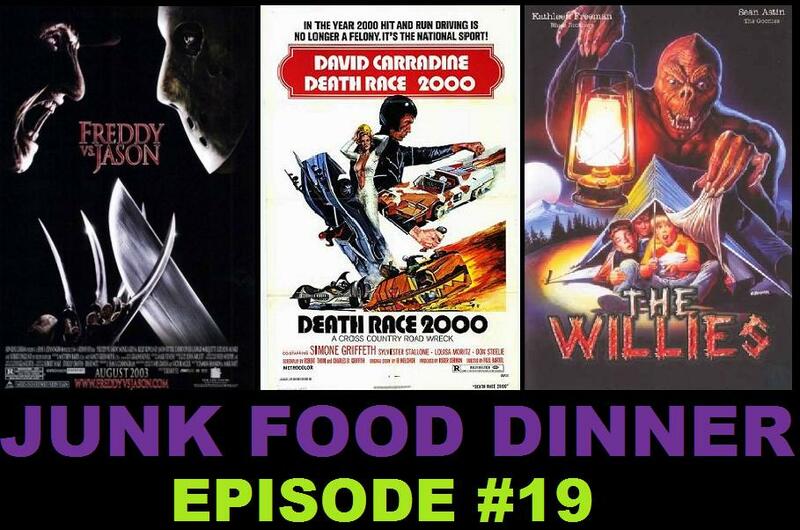 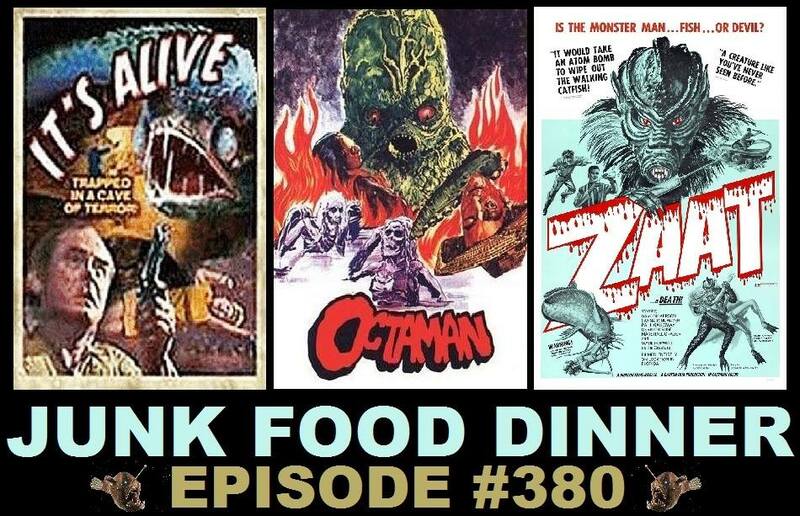 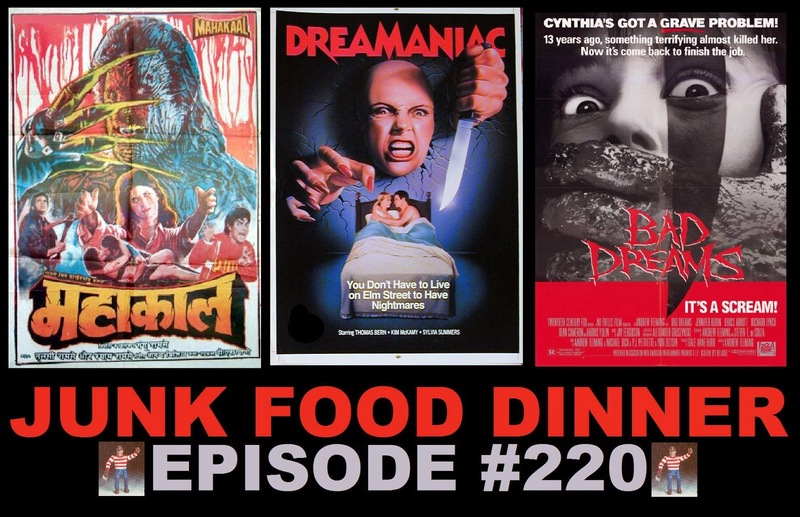 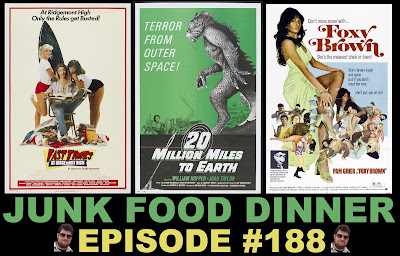 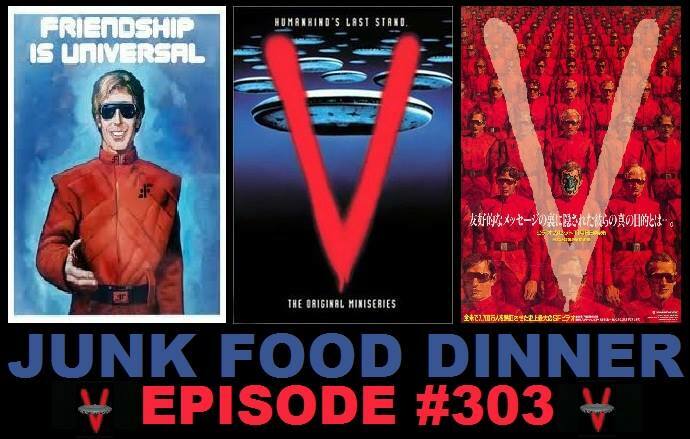 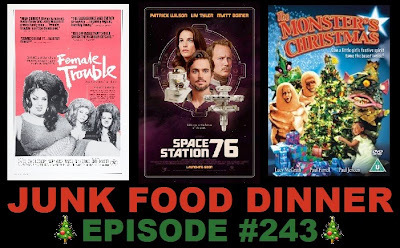 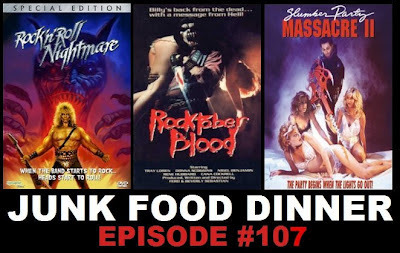 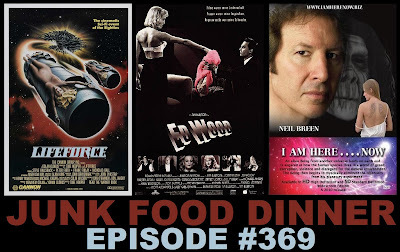 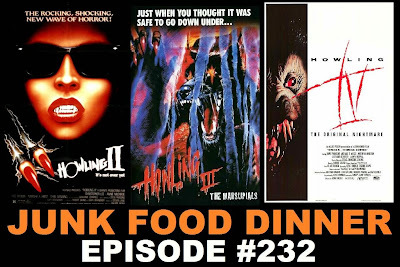 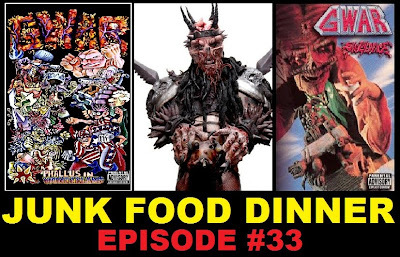 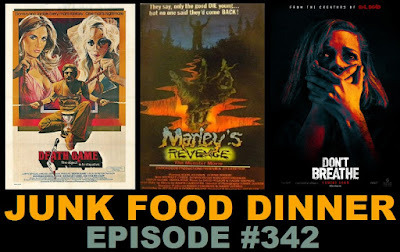 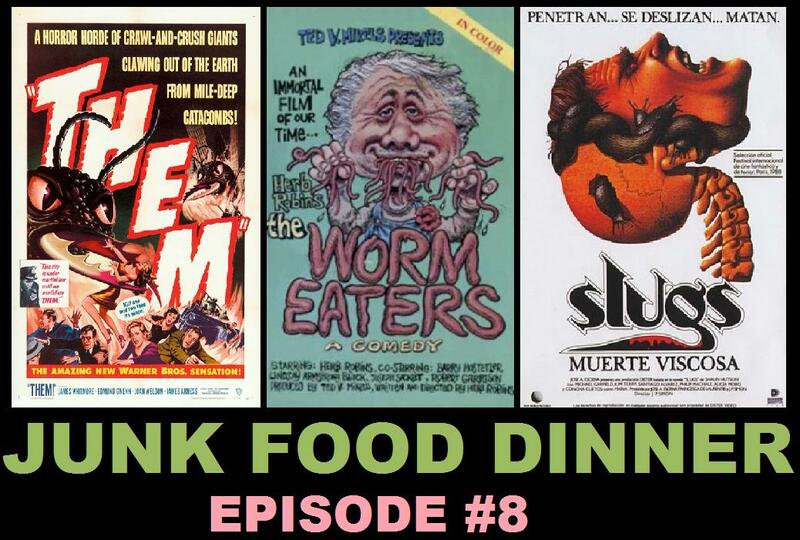 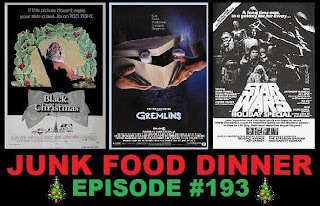 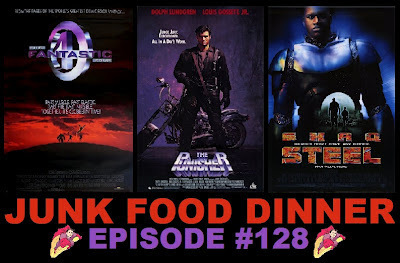 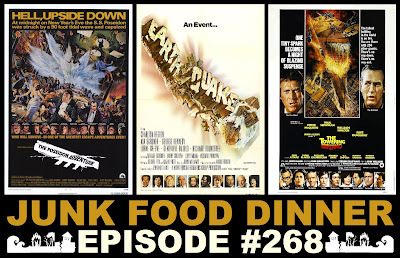 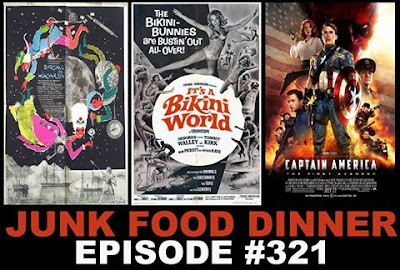 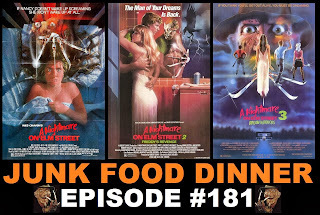 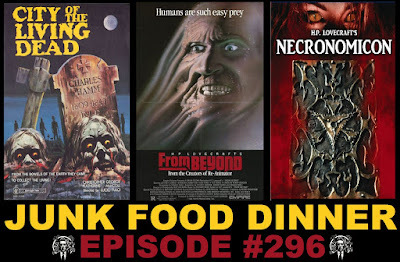 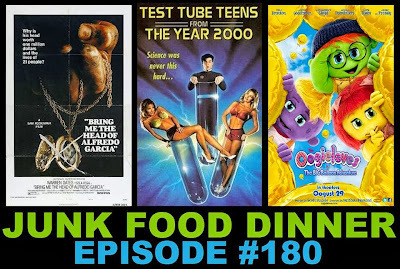 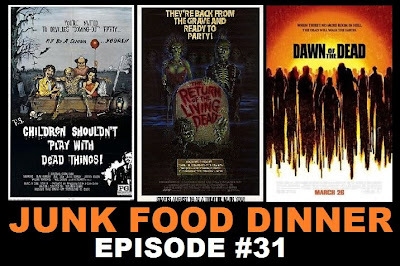 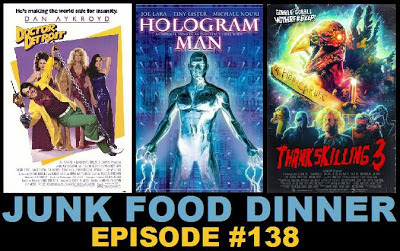 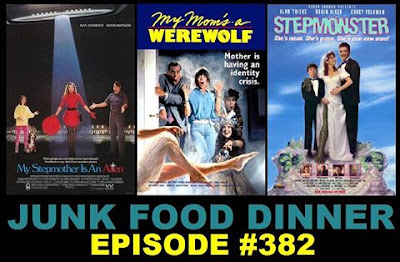 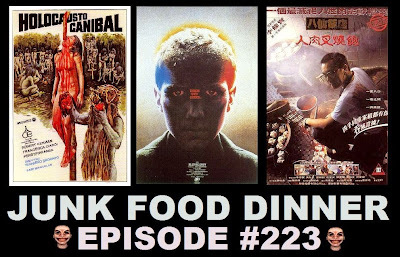 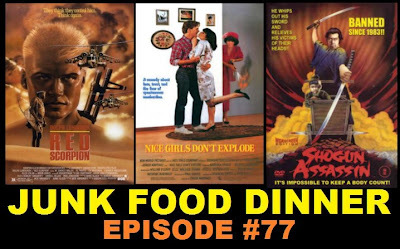 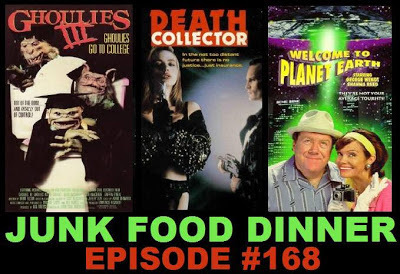 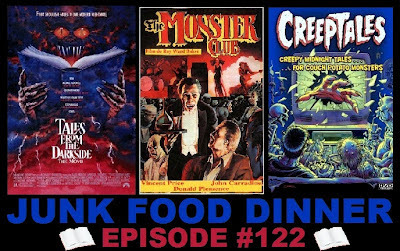 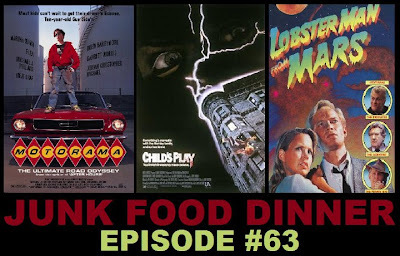 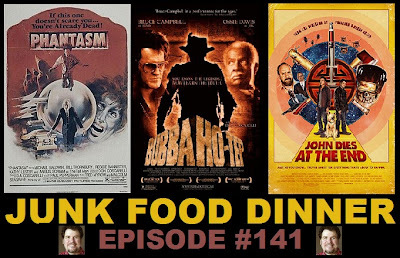 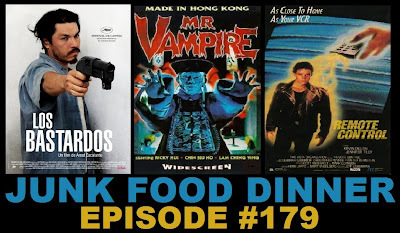 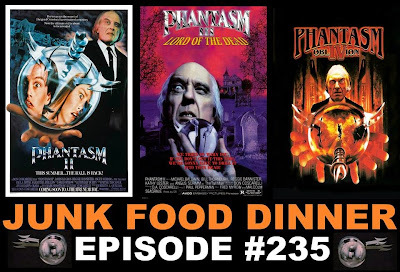 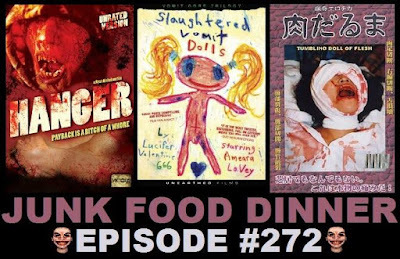 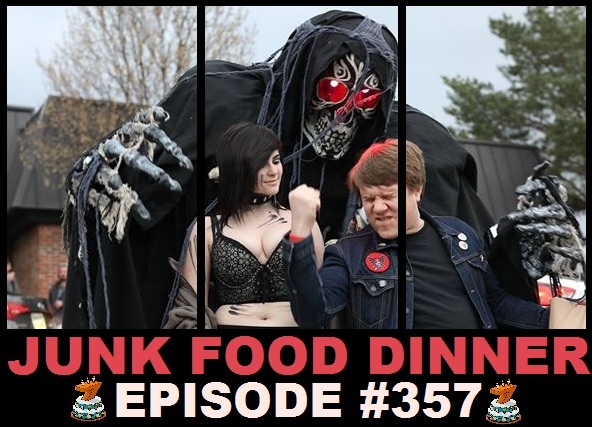 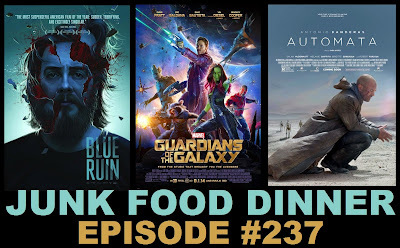 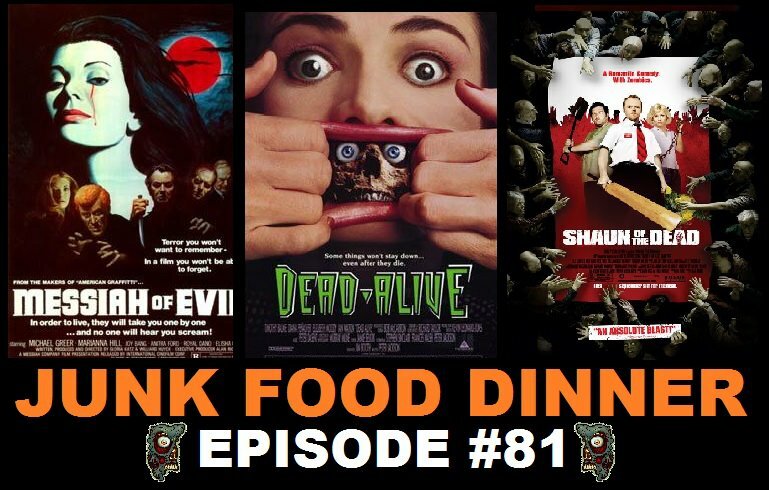 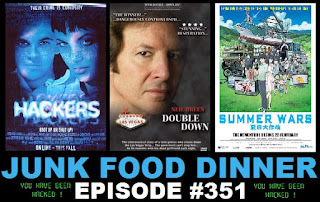 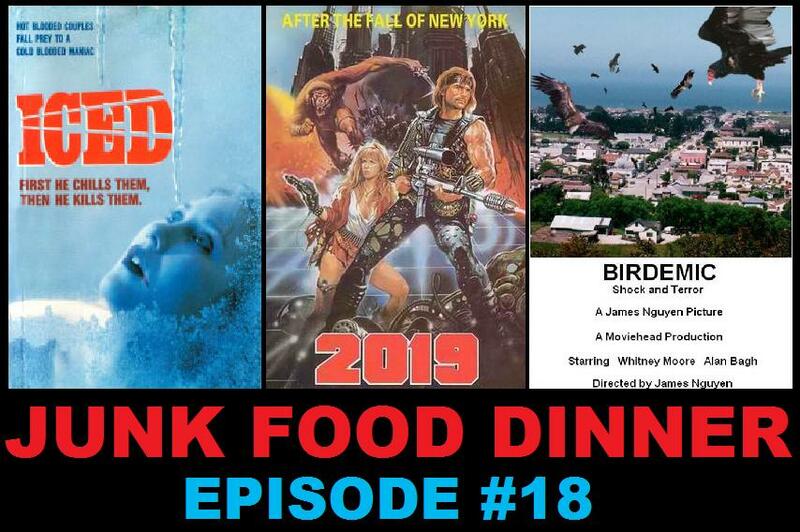 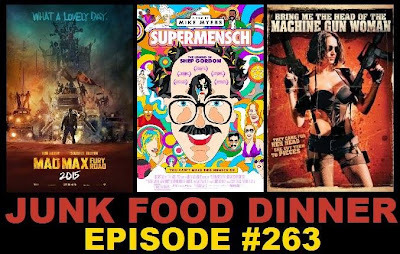 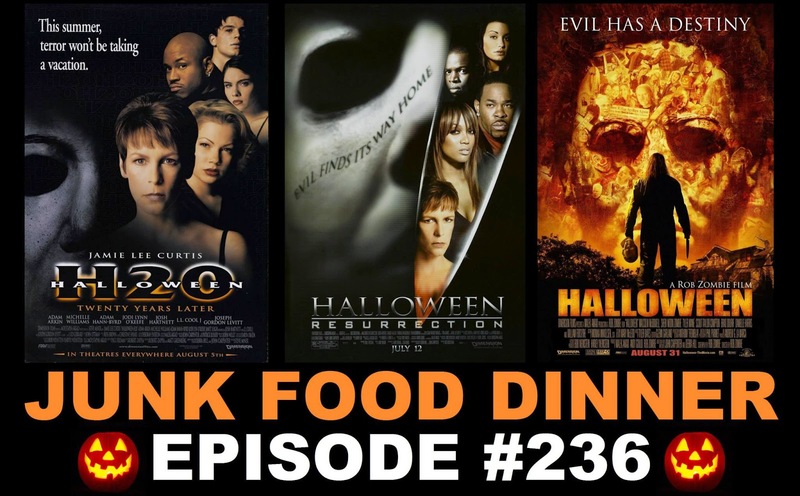 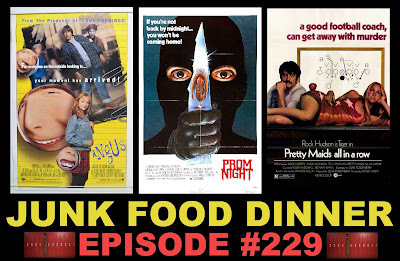 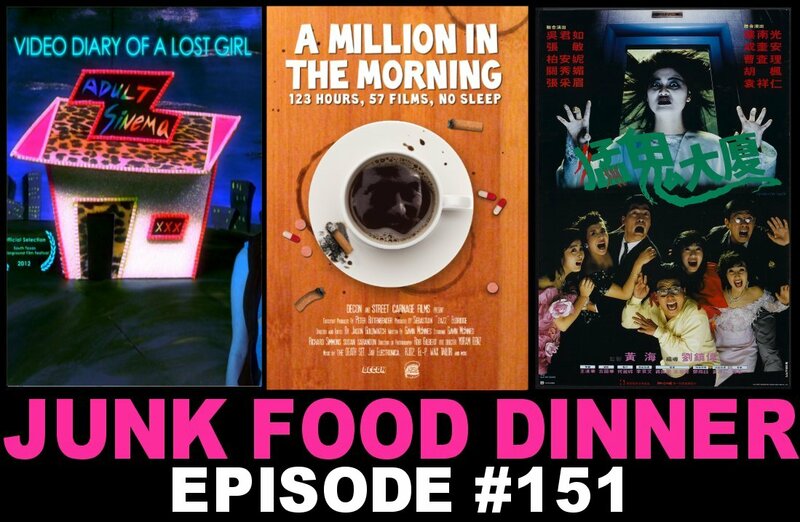 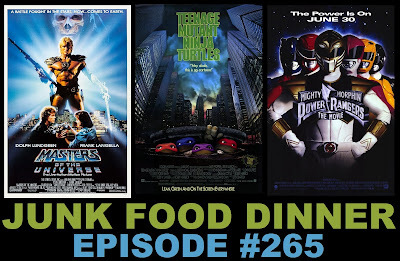 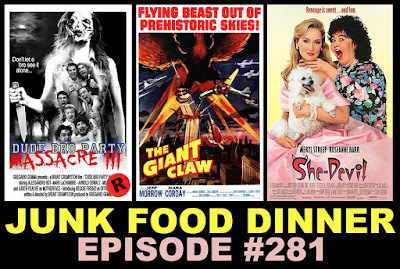 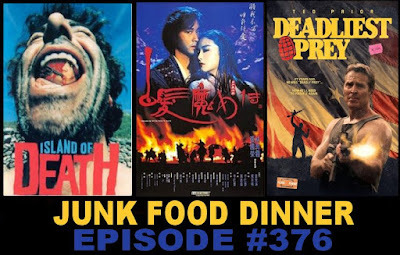 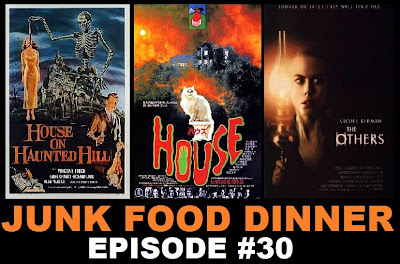 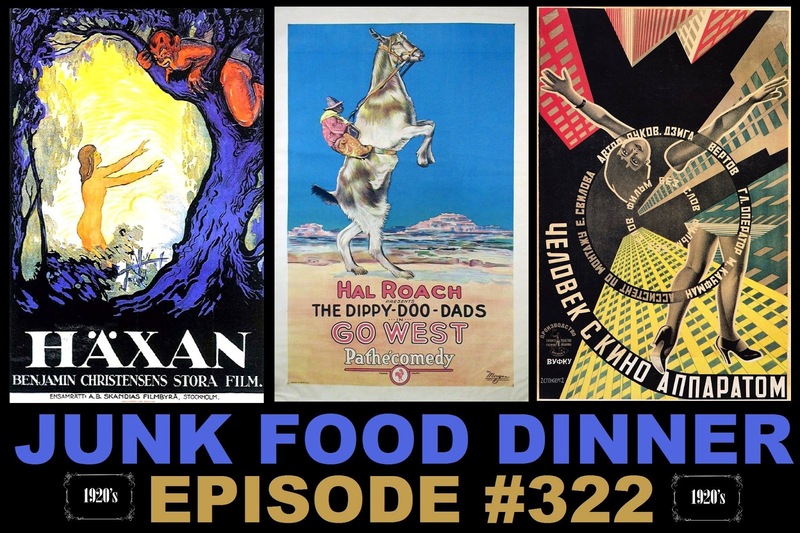 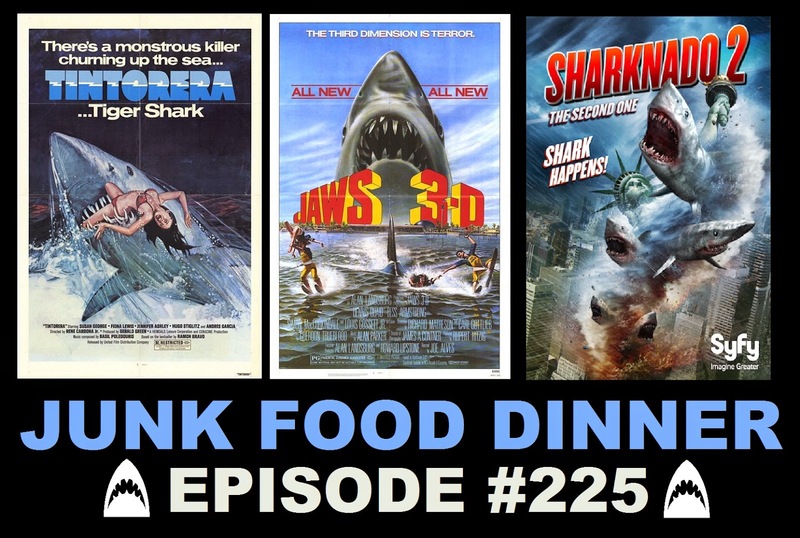 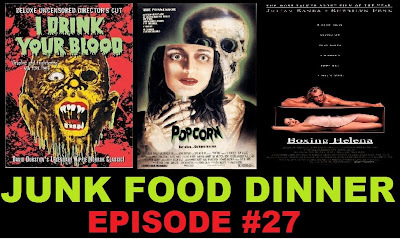 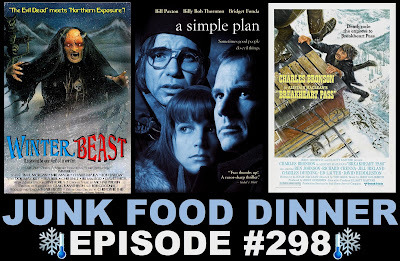 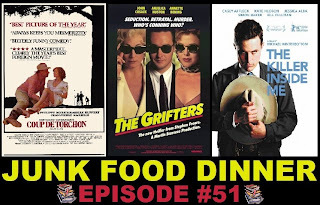 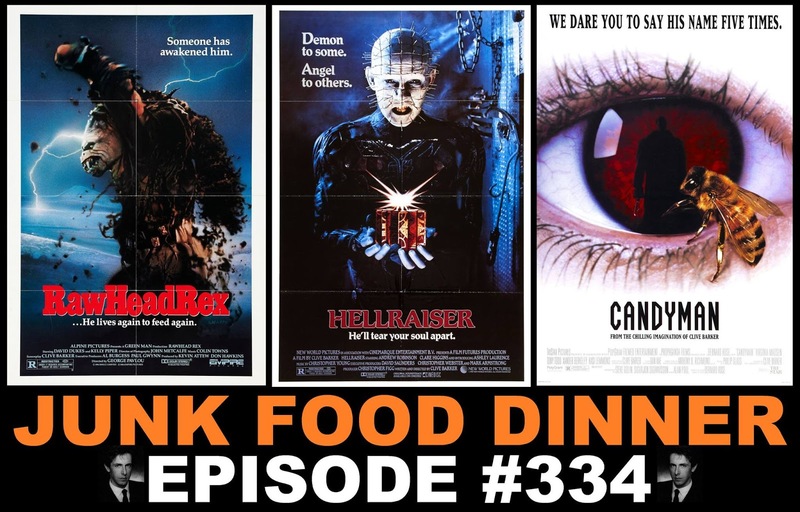 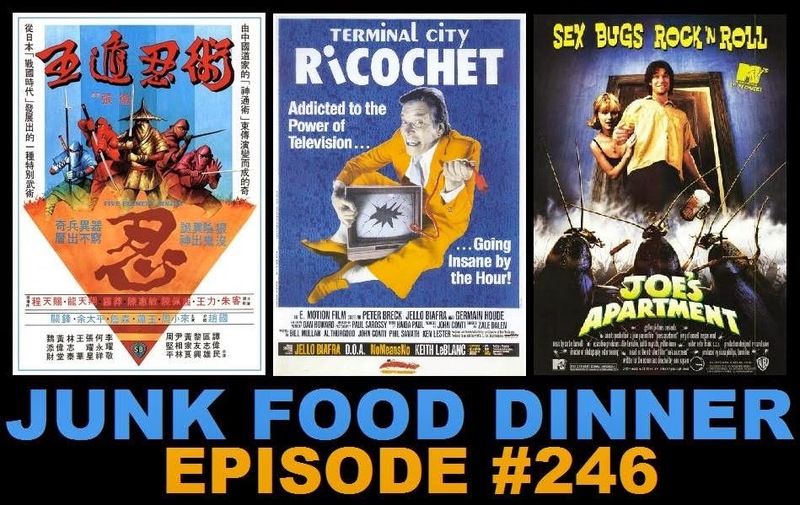 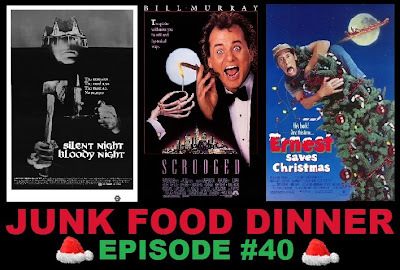 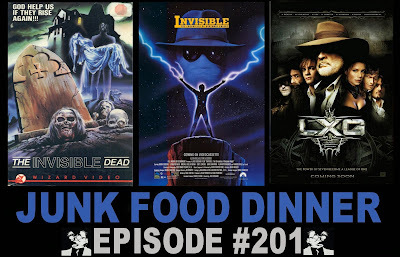 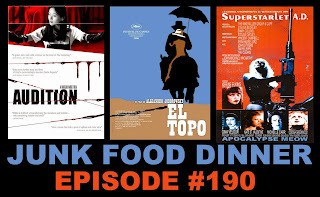 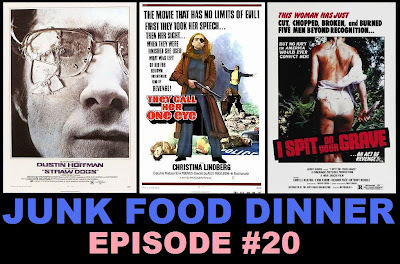 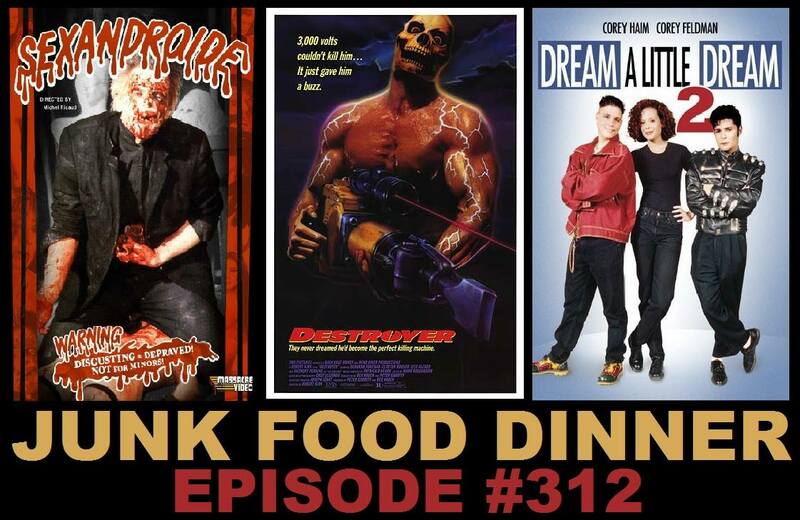 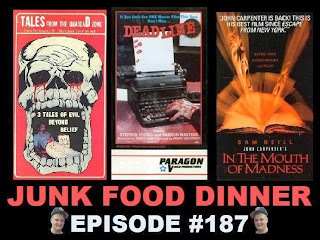 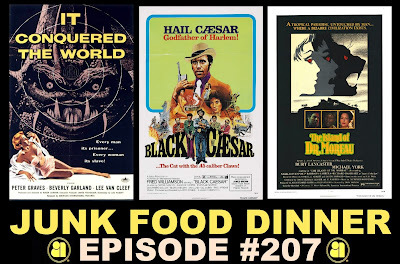 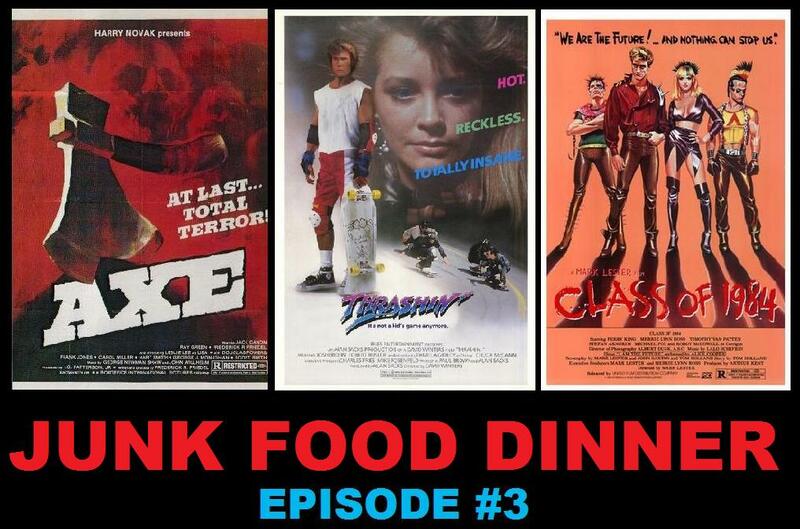 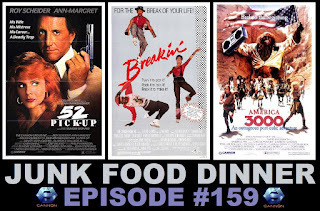 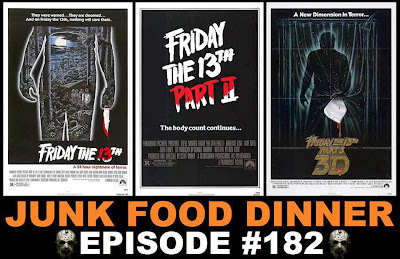 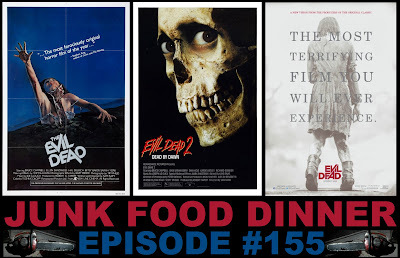 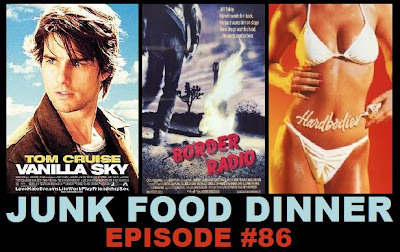 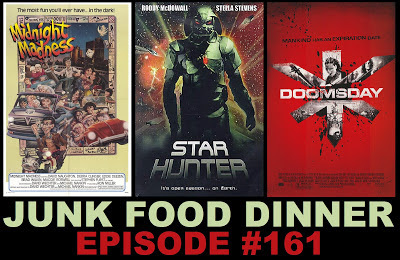 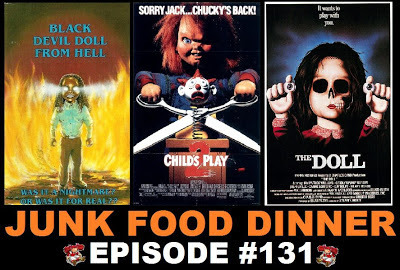 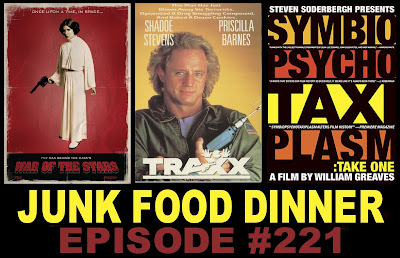 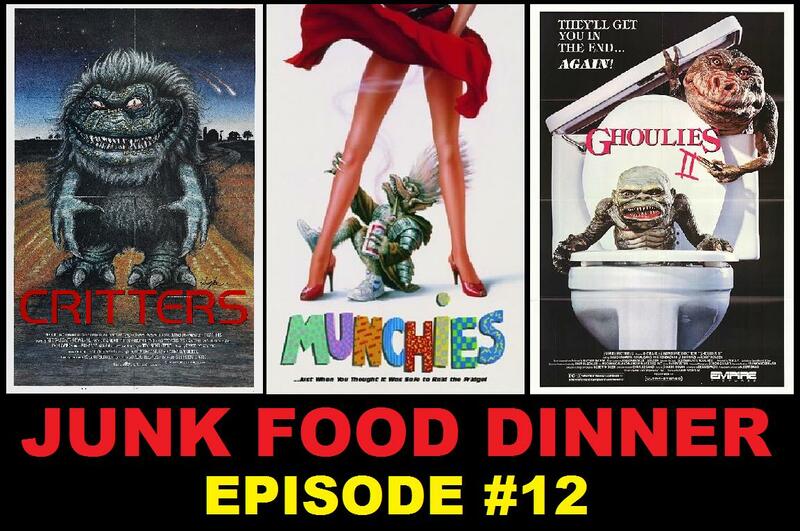 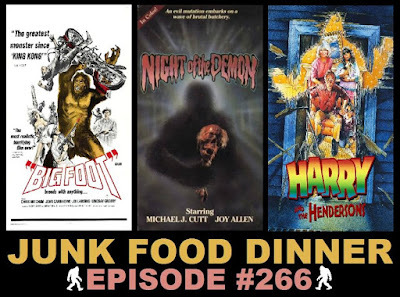 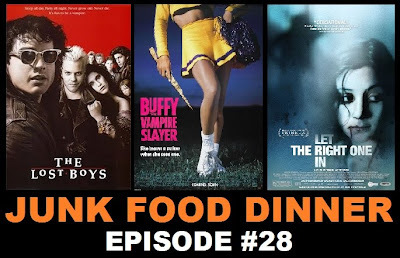 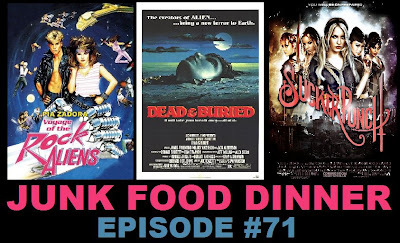 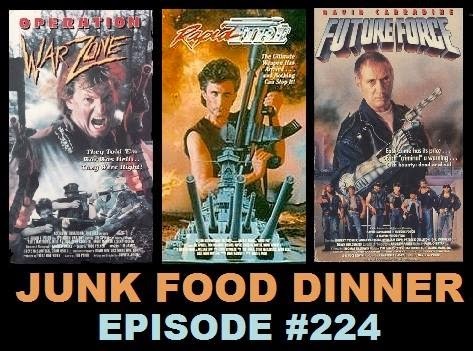 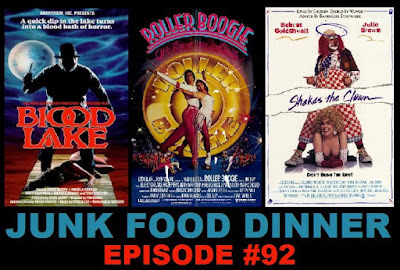 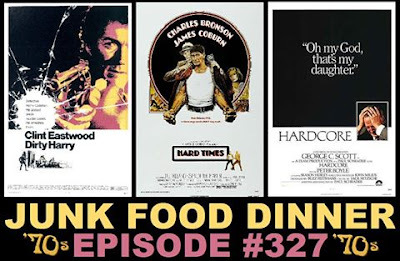 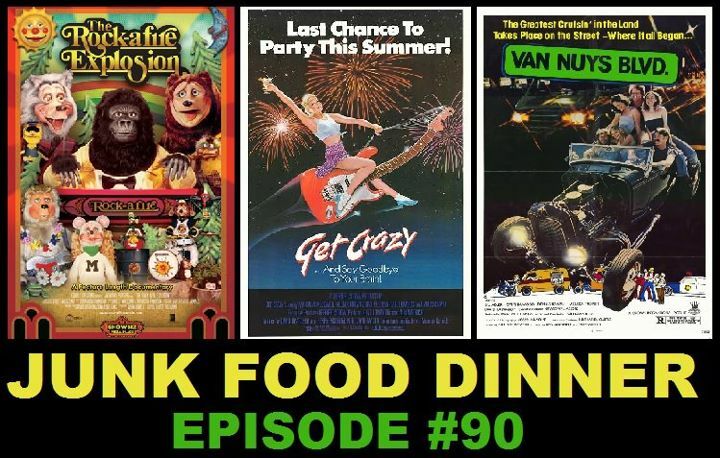 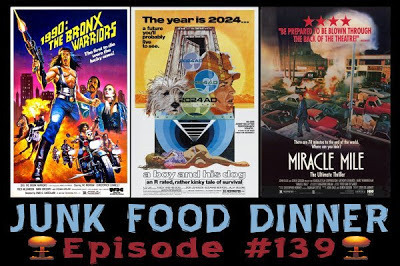 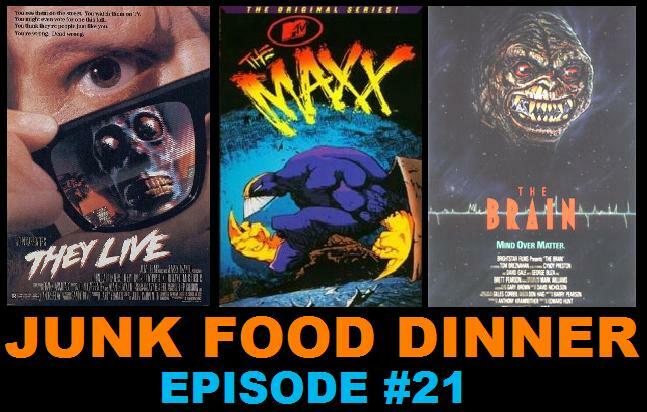 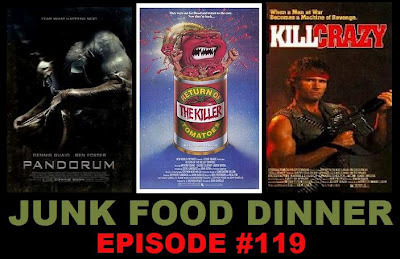 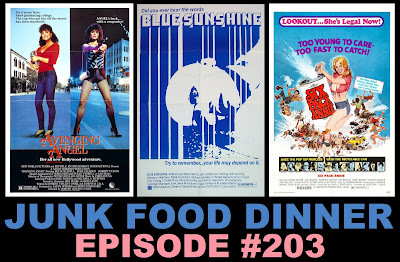 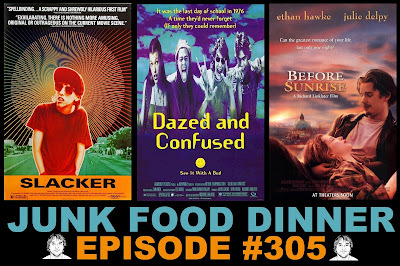 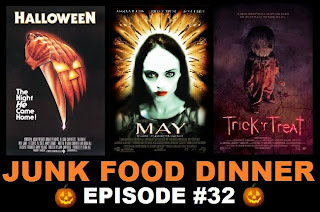 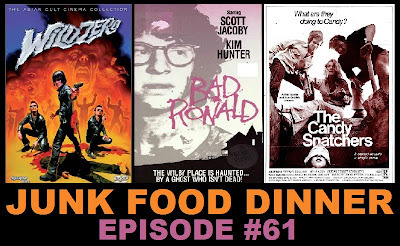 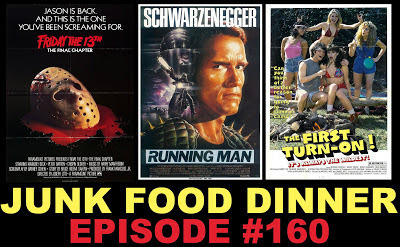 We discuss a number of topics and cover his films: Basket Case from 1982, Brain Damage from 1988, and his most recent effort, 2008's Bad Biology. 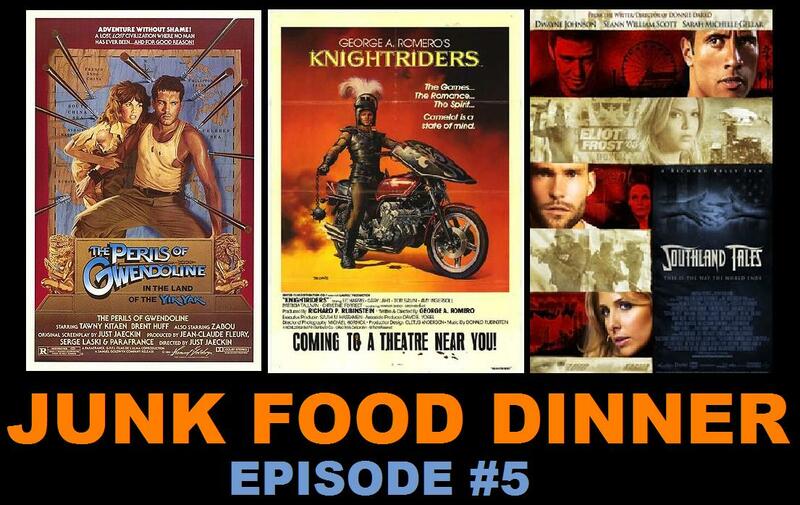 It's not only informative, it's alliterative as well. 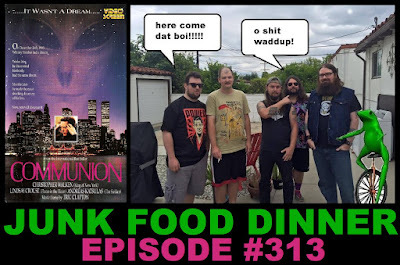 Sorry for the delay, but the internet and technology have conspired against us. 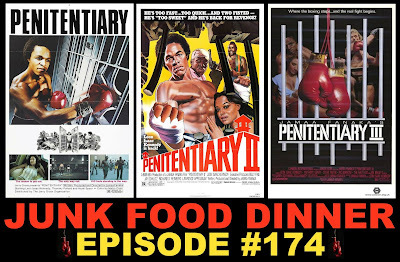 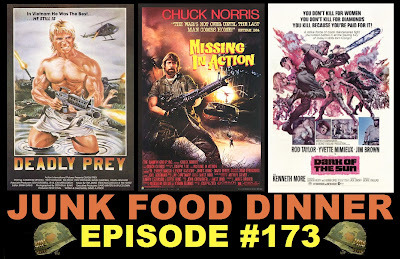 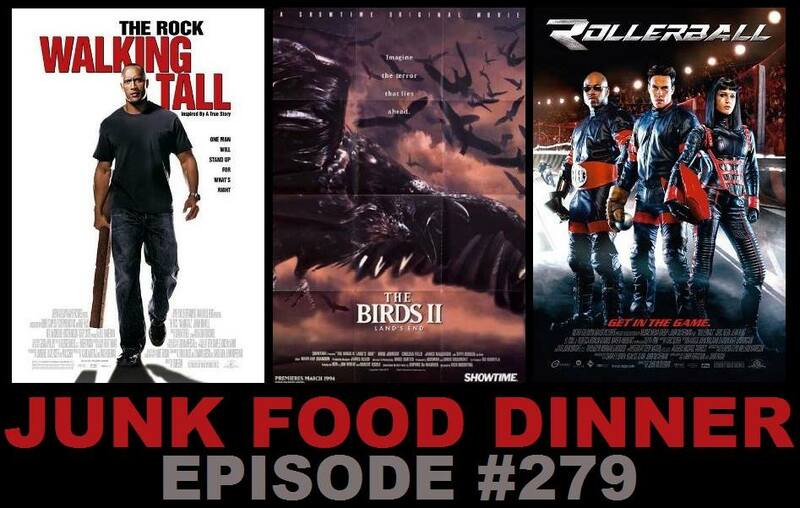 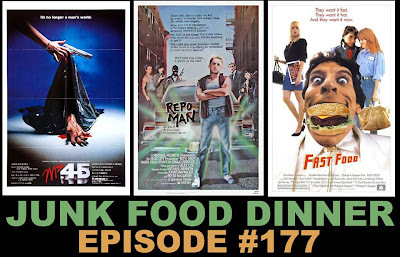 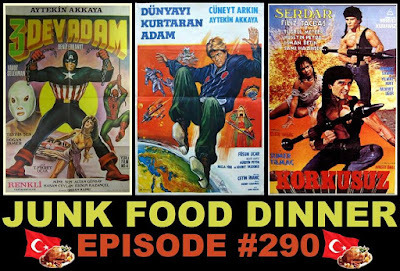 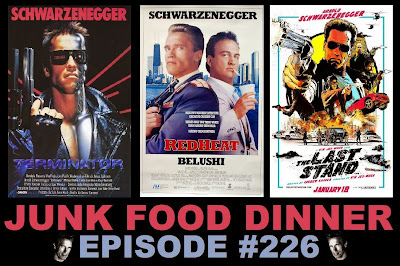 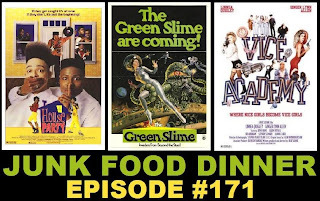 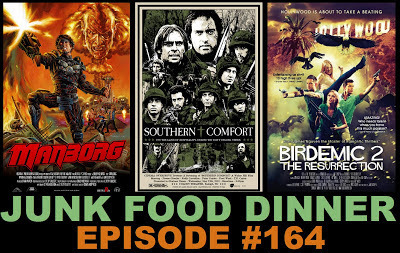 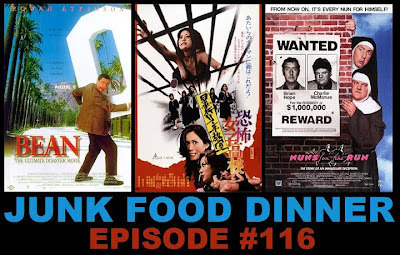 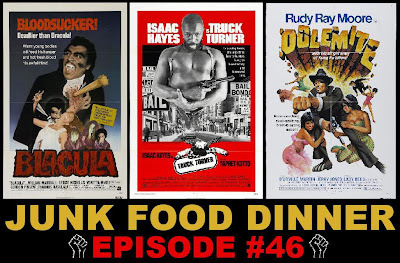 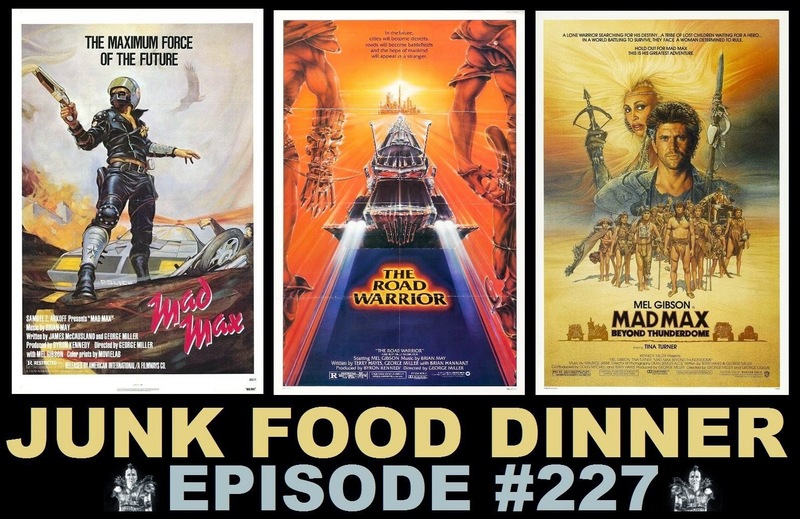 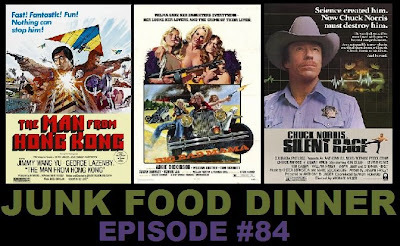 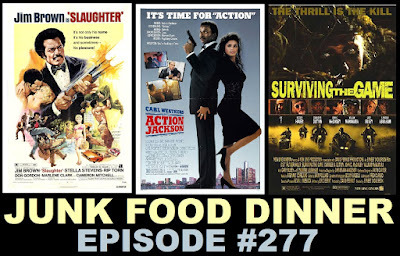 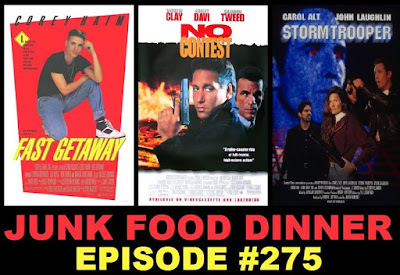 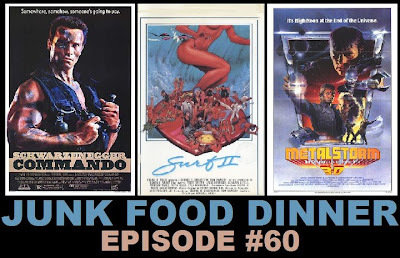 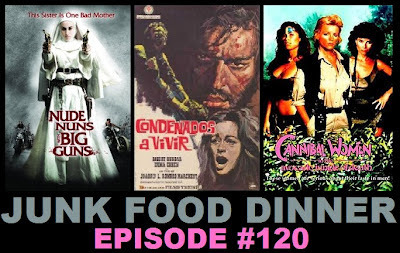 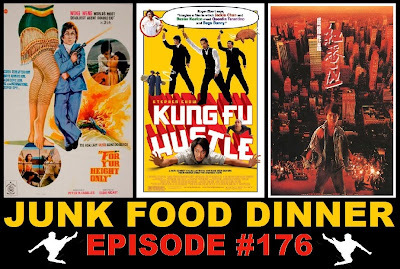 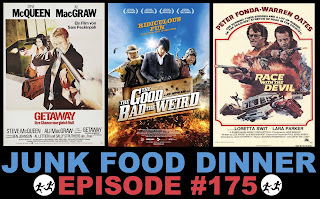 Look for Episode #17 in rapid succession. 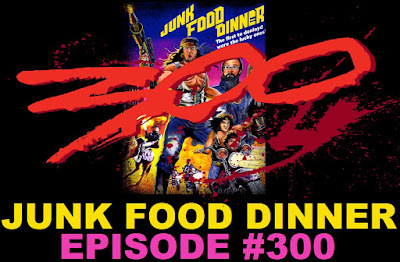 In the meantime, don't forget to give a vote and/or a quick review on Podcast Alley and/or iTunes. 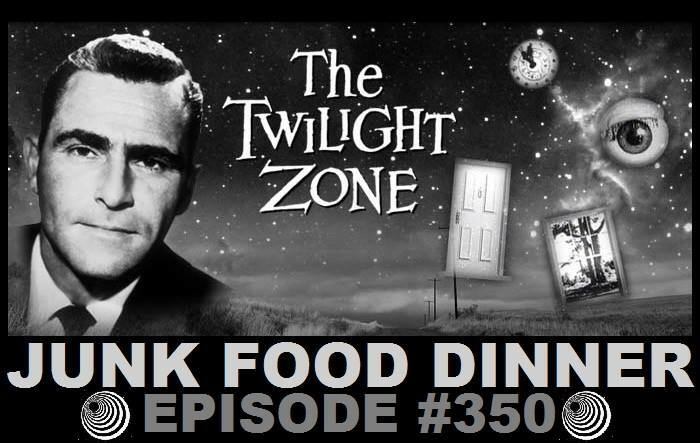 Got a question, concern, or terrible secret keeping you awake at night that you want to tell us? 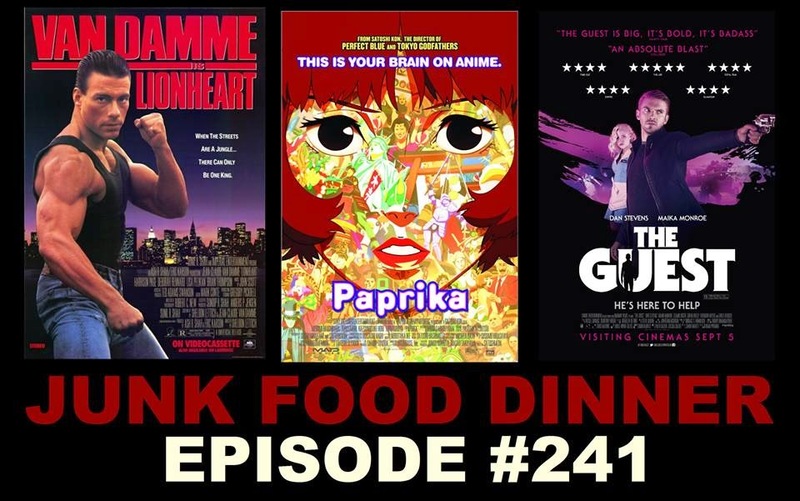 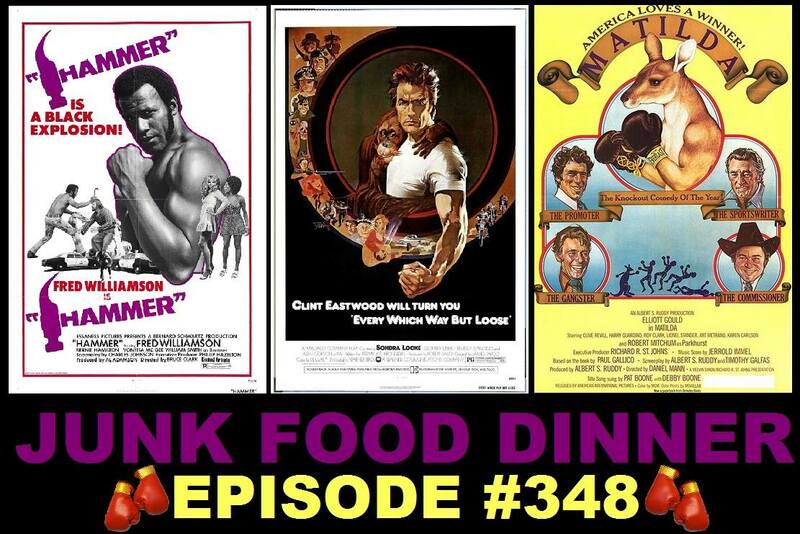 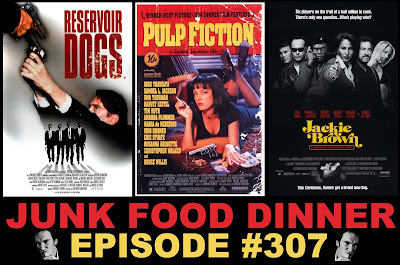 Drop us a line: JFDpodcast@gmail.com, if that's not good enough, we could maybe give you Parker's phone number.